Available for purchase. See below. Would you believe I started on this painting around two years ago? I suppose it took me that long to build up the courage to complete it. At that time she had only started out as a very light sketch on my Arches Aquarelle watercolor block. At the time, other inspiration hit and I found myself needing to peel her off the block to allow myself access to a fresh page. I tucked her away on a flat surface and then forgot about her. On occasion I would think about her in moments of recollection, or when I found myself digging around in the same drawer she was stored in, but I would still decide not to proceed. She sat in the dark for far too long until at last I started feeling inspired enough – or perhaps capable enough – to tackle her and let her shine in full daylight. Part of what lit a fire under me to get her completed was being lectured by many acquaintances – new and old – to start selling my art. I would groan that I couldn’t because the vast majority of my art is tucked safely away in sketchbooks. Selling an original from a sketchbook would mean I’d have to destroy the book plus lose what art was on the back of the intended sale. Let this be a warning to those of you who do most of your art in sketchbooks. If you feel like you’d like to sell it at some point, it’s going to cause some difficulties. While I addressed some of the issues of my art residing in sketchbooks by scanning and selling prints, it still did not resolve the issue of my not having any originals available for sale. One new acquaintance told me flatly in his own way “go big, or go home.” Meaning, tiny art isn’t exactly what art buyers are looking for. They want something sizable for their spaces. Okay, I’m listening. I get it. I understand. So the girl tucked away in a dark space came back to the front of my mind. 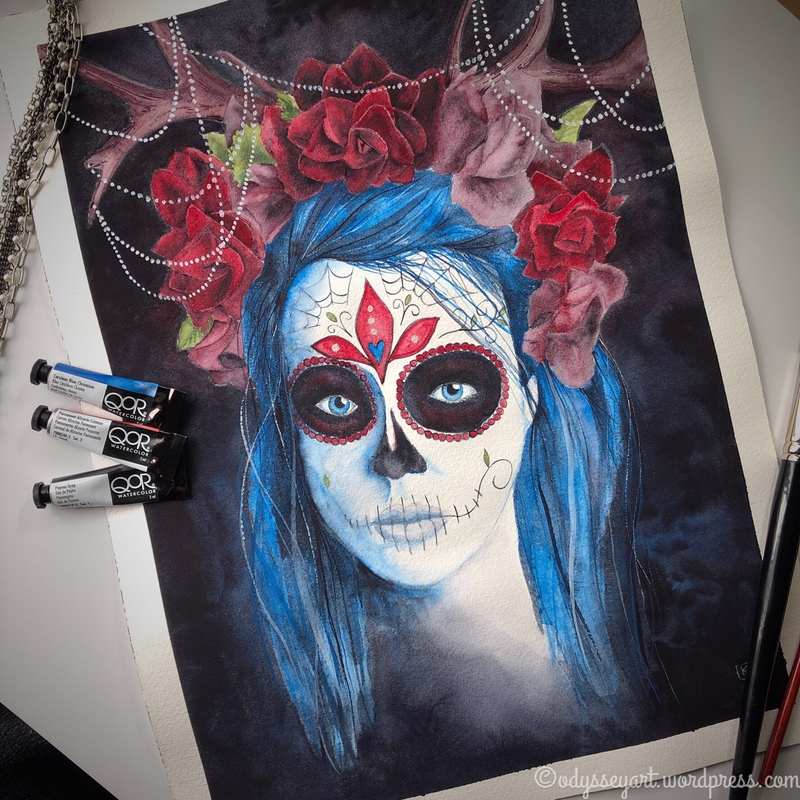 Part of why I shied away from working on her was that she resides on a 12″x16″ piece of paper. Twice or even four times larger than what I’ve grown accustomed to working on. But that’s a nice “starting” size for me for larger artwork. Side note: I do admit I did do something even larger than this painting. 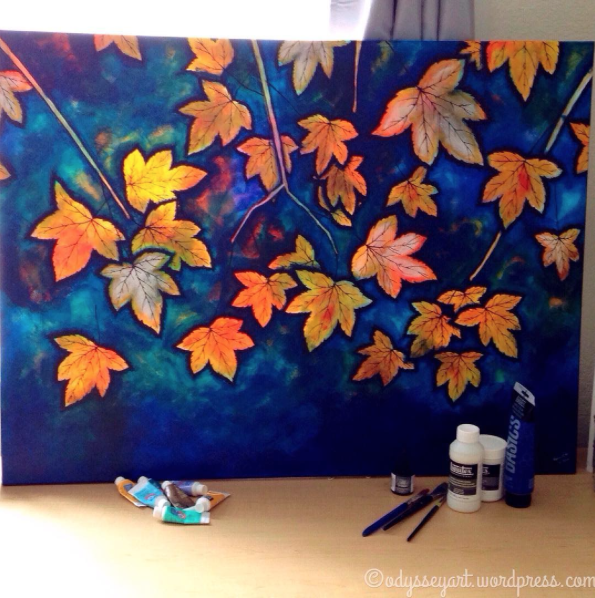 It’s a 30″x40″ canvas of gorgeous fall leaves hanging above my bed. I felt daunted by how long it took me to complete it, but I certainly enjoyed the final result. And with the new inspiration I’ve had around selling my art, I’ve even come to a place of being willing to part with it. But I’ll give that piece it’s own attention in another post. Let’s get back to this pretty girl. I proceeded to finish up the pencil outline first. Easy enough. But then came the moment of panic. What colors should I use? What colors should her eyes be? Her hair? The flowers? This is where art for me comes down to faith and trusting my current preferences. Lately I’ve been drawn to the combination of blue and red. The two colors compliment each other nicely. Red was an easy choice, as well, for the roses in her hair. Choosing the paint brand was easy. I decided I wanted to play some more with my QoR watercolors . I love their personality and the way they jump across the page in wet on wet techniques. I’m a big fan of their vibrancy, as well, and how they don’t shift quite as much as other brands do when they dry. I opted to go with a limited palette to keep the decision-making with colors far less stressful, as well. I chose to work with Cerulean Blue Chromium , Permanent Alizarin Crimson , Paynes Gray , and a touch of Cadmium Yellow Primrose to help create the green leaves and to add some depth to the antlers. While it’s not technically watercolor, I also used QoR’s Titanium White (which is more a gouache) for some of the highlights in her hair. This was an important addition else her hair would have lacked depth and interest. 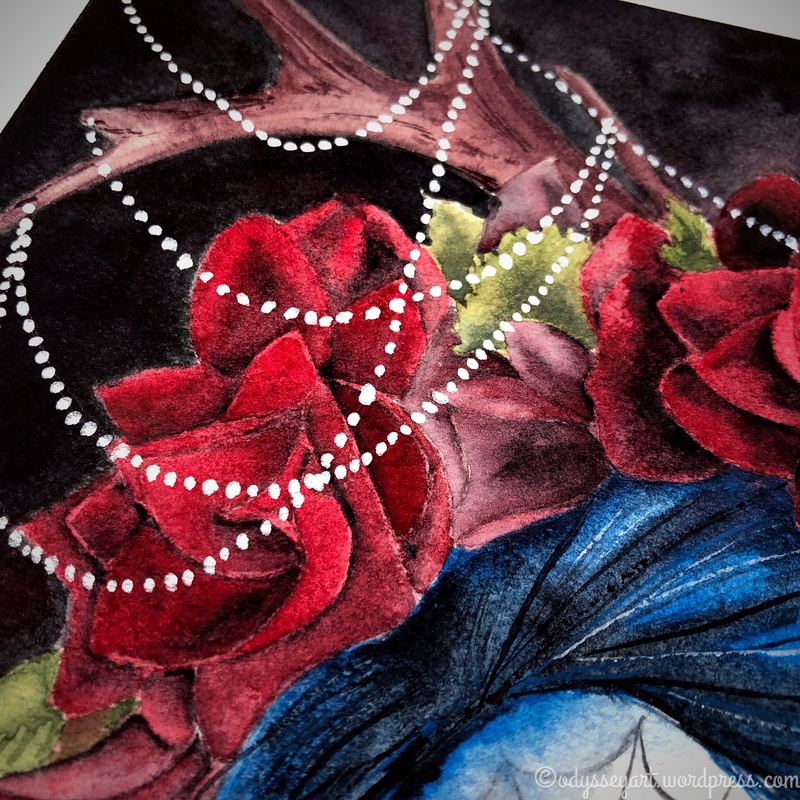 My final additional special touch to the piece was to use Finetec watercolors in silver for the chains draped across the antlers and the special highlights in her face paint. 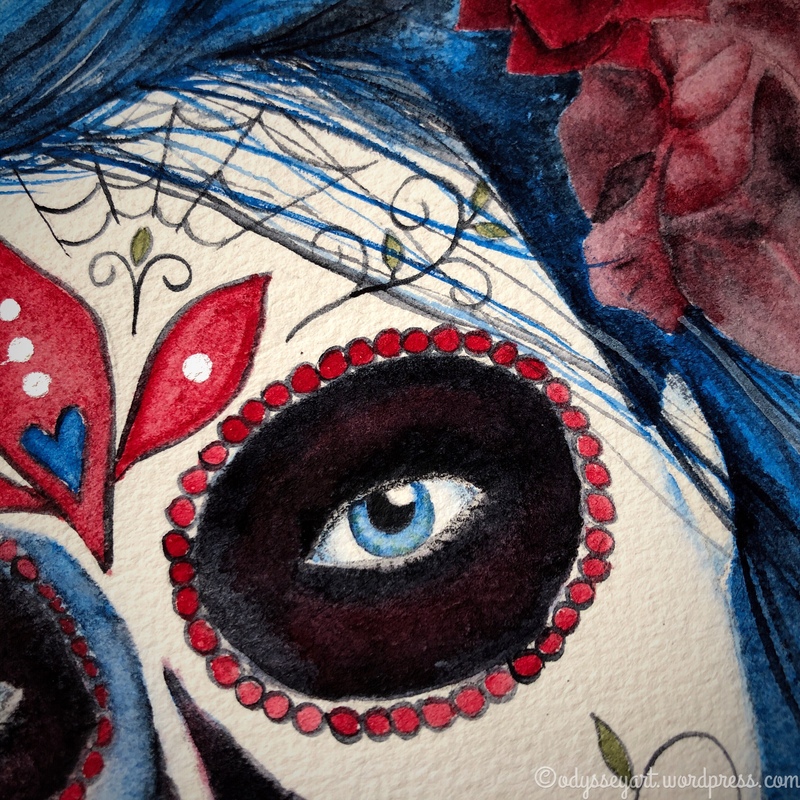 I used Prismacolor Premier colored pencils to fine-tune some of the details in her eyes. 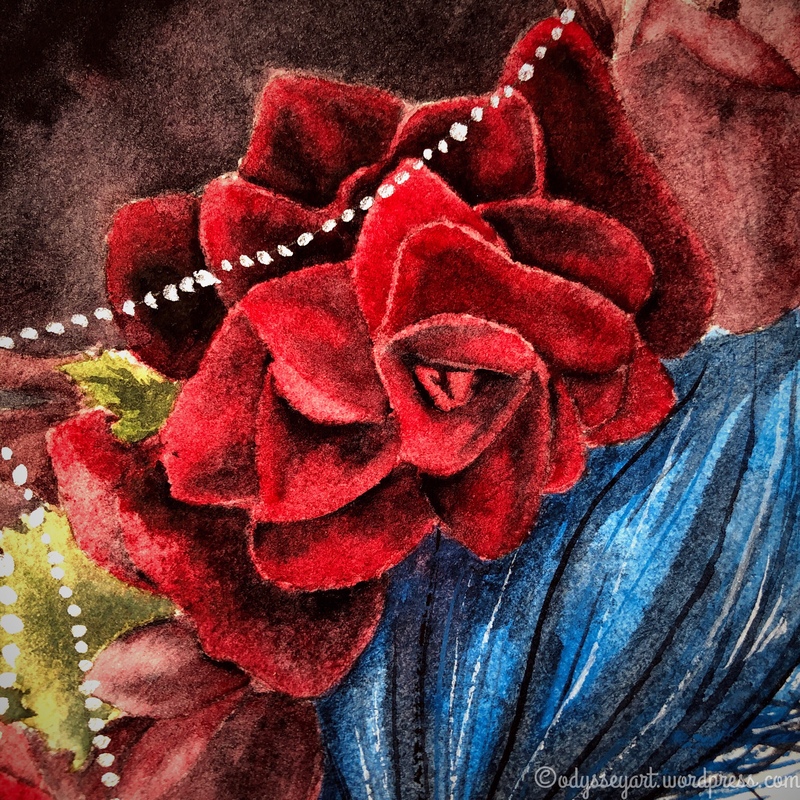 I really enjoyed working on the roses – or how they turned out at least. At times I was feeling like they were looking “off”. But part of that, again, was just the simple fact that they needed just one more layer of red over the top to really make them amazing, or just a little more contrast to give them proper depth. I pride myself in not being afraid of contrast. I think that’s a pitfall many new artists find themselves in. They put down light layers of color and feel happy with what they’ve got so far, yet know if they really want their piece to pop they have to add some extreme contrasts – and I fully admit that’s scary stuff. You think if you get too heavy-handed with the contrast you’ll ruin all that pre-existing work you’ve done. Be brave, my friends. 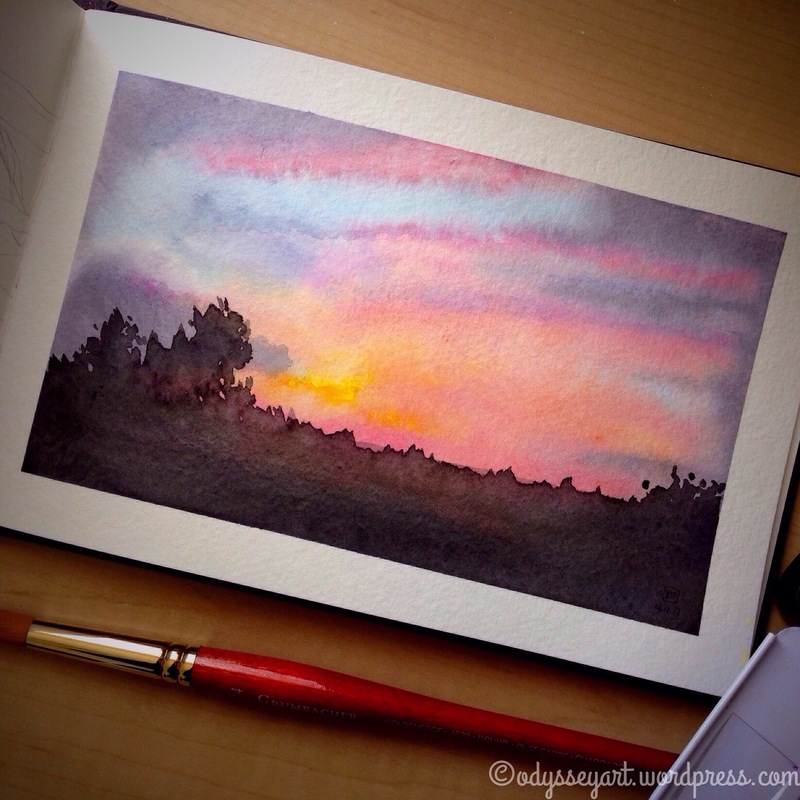 Embrace the darkness (at least in your watercolor paintings)! You’ll be glad you did. It was so, so satisfying when I finally peeled off the painter’s tape that had been holding her to the easel’s board. Seeing the clean edges just gave her such a beautiful, finished look. My favorite part of the finishing process was taking some photographs for my Instagram feed. While the art is beautiful in person, there’s something aesthetically pleasing to how the camera pulls everything together. Especially when you add a few props for whimsy and context. Would you like to have her in your home? Well you can have her several ways. Prints are available at my Redbubble shop. Thank you again for your support and patronage and following my continued artistic journey. I hope to have more originals available in the future. Contains affiliate links. See disclosure for more info. I’m in the process of finishing up scanning the majority of my art, so if you don’t see what you’re looking for, there’s a chance I haven’t uploaded it yet. Check back often as I’m adding new work almost daily. You can also drop me a message, noting which piece of art I’ve featured that you cannot find on the shop and I can see about getting the art loaded up. Thank you in advance for your patronage. Art is a serious love-affair for me, and I love sharing it with the world. If you want a piece of that love in your own space, you can have it now! I finally hopped back into—and stuck with—another 30 day art prompt on Instagram. During the month of April, I joined the #drawriotdaily challenge which consisted of painting or illustrating 30 different flowers. You could design the flower in any way you chose – a lot of people used mixed media, for example. I decided to go primarily with watercolor. This was a stretch for me, which is interesting to say, when I think it was two years ago I participated in #the100dayproject and created something just about every single day for 100 days. I have definitely stepped back from such intense creative endeavors for quite a while now. I admit with this current challenge I was getting fed up at times having to bend my schedule around on weeknights and weekends in order to squeeze in another painting (sometimes two!) However, in hindsight, I’m glad I did it. I received far more practice this way in a short time period compared to my sporadic 2 to 5-ish paintings a month. I did the majority of these paintings in my Moleskine watercolor sketchbook, although the first five or so were in my traditional pocket Moleskine sketchbook. I used them as a quick means to filling and completing that particular sketchbook, and that was the overall goal for the watercolor sketchbook, too. I figured I’d share all my illustrations/paintings from the project for your enjoyment. I also jumped around with different watercolor palettes. You may recognize the Kuretake Gansai Tambi watercolor palette in the crocus photo, which was the palette I started with. I then utilized my set of QoR watercolors for a time period, then eventually jumped over to my “beast” palette which contains 48 half pans with mixed brands ranging from more QoR watercolors to Daniel Smith, Winsor & Newton, and Mission Gold. 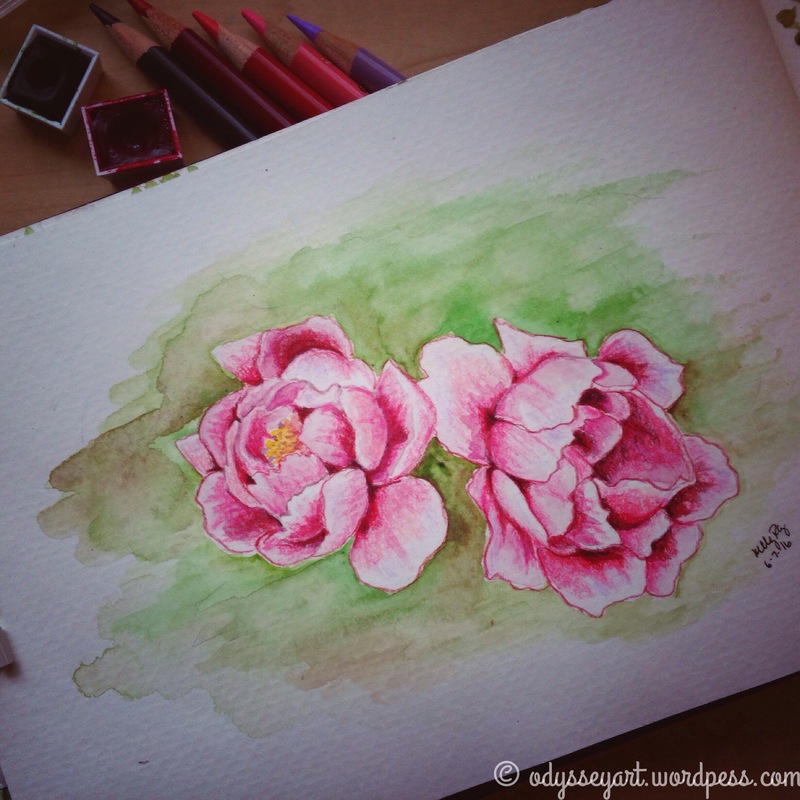 I accompanied each flower painting with some brush lettering listing the flower name. Not sure I totally care for having that text there, but it is helpful for looking back and recognizing what the flower was for each particular painting. 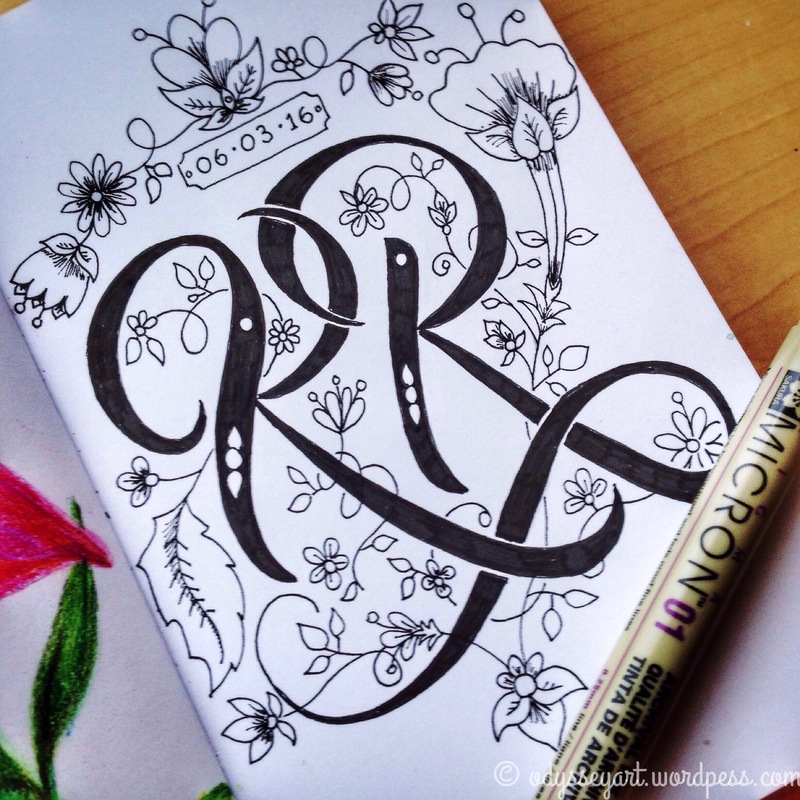 I primarily used my Faber-Castell PITT artist pens for the lettering. I did more experimenting at first. I used the metallic marker some more (Sharpie brand), but then my tax returns came (huzzah!) 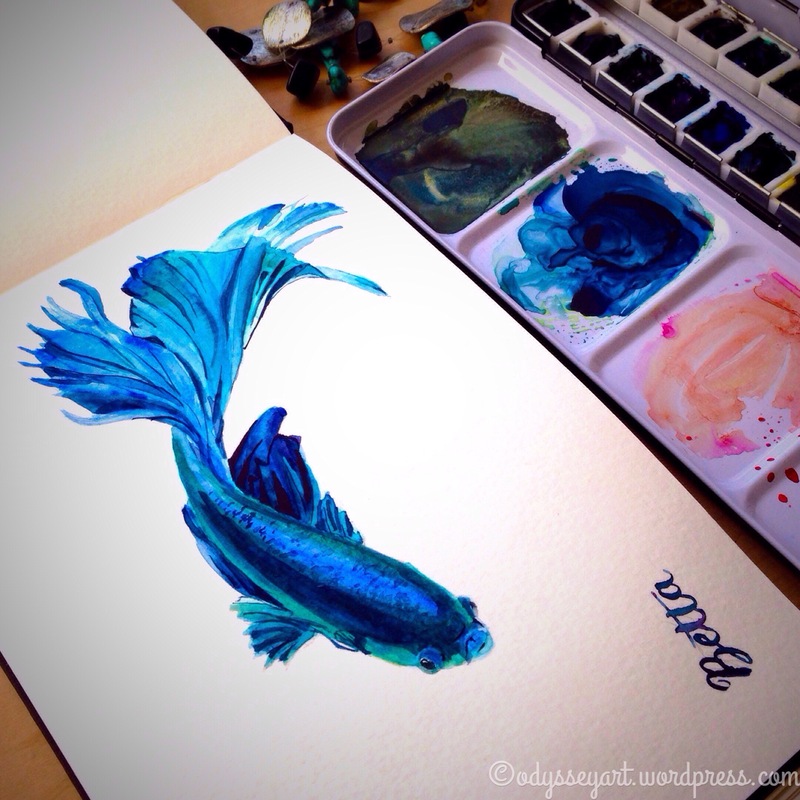 and I immediately splurged and purchased a set of Finetec Pearlescent watercolors. I’m glad I did because WOW those made a huge difference. Those are some seriously shimmery, beautiful colors. Towards the end you’ll see that I didn’t outline all of my paintings. Some I felt like they were detailed and defined enough and adding that outline would have just detracted from the image rather than enhance it. First painting with the Finetec Pearlescent watercolor outlines. I did attempt to be more loose at first, but as you can see, while I progressed, my style “tightened” back up. 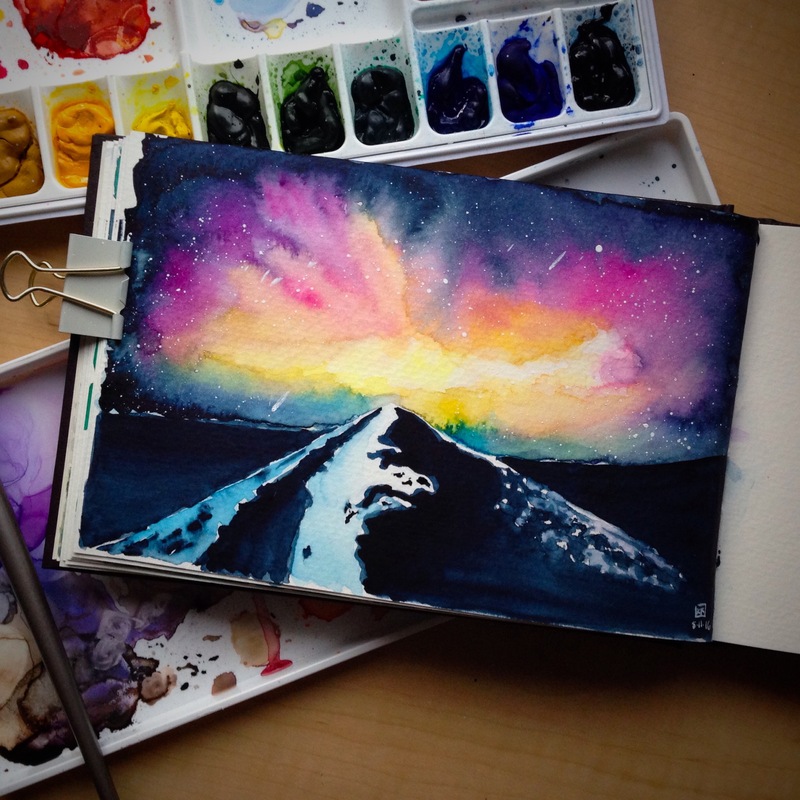 (You loose watercolor artists are amazing.) It was fine, however. As long as I was making recognizable flowers, I was happy. I think I had some of the most fun playing with the backgrounds. A lot of the time I utilized salt and squirts with a fine-mist spray bottle to create texture. A couple of times I even used cling wrap. Vague backgrounds are fun to do – they can remain abstract so there’s not a ton of pressure to get them “just right”, unless they get so busy they start to compete with the main subject of the painting. I feel I had a few misses with my paintings – some I didn’t care for too much, or some that didn’t come out the way I was hoping they would. The tulip, dogwood, and fritillaria in particular come to mind. But that’s all part of the process. Sometimes you have some real wins, and sometimes you don’t. I was happy with the details I managed with the hellebore, plus I really admired the gradient colors found in their petals. In fact I was enjoying working on the hellebore so much that I took my time with it and didn’t complete it fully until after two or three days from when I started (it put me behind on the challenge, but so what!) I’m particularly proud that in this painting I didn’t feel like I needed to pull out my colored pencils to finish off any details. 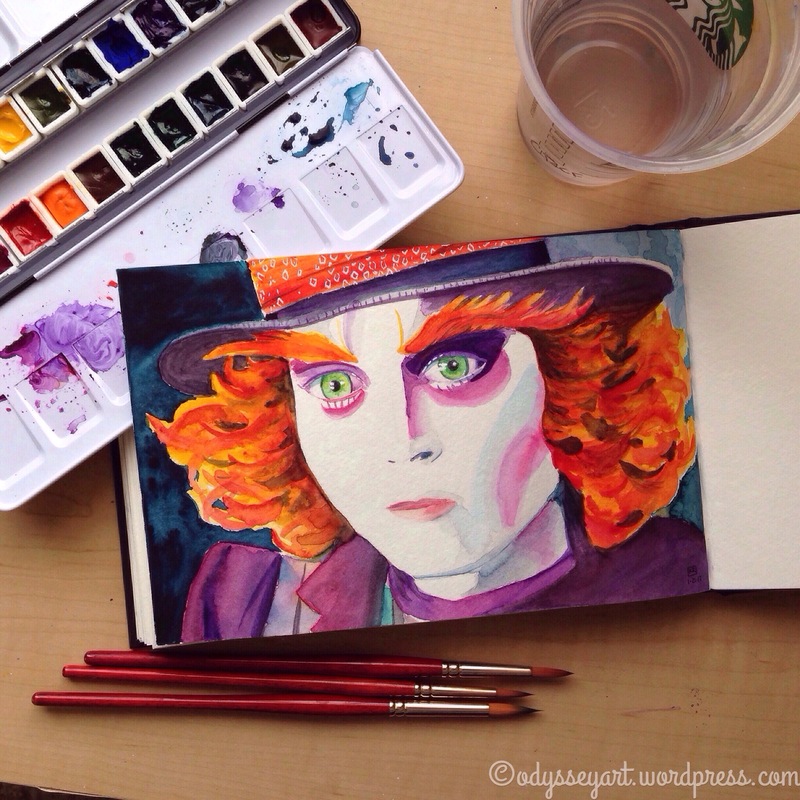 It’s 100% watercolor, baby! The rose and the peony get honorable mentions. I liked the closeup aspect of them, especially with the rose. My grande finale was the echeveria (succulent). As you can recall from a previous post, I’ve painted one of these before, and I had just as much fun painting this one as I did the last. This one in particular was fun to add the Finetec embellishment to, as well. It just worked perfectly for the edges and those little blemishes you see on the plant. I just love all the colors found in these beautiful plants, and bright, colorful things are my favorite. The echeveria was also another reminder to not give up at the start. The colors were looking so crazy at the beginning after I’d applied the second layer on top of my initial wash. I was looking at it thinking I’d screwed up. But I decided I needed to add more shadows and depth and I’m glad I did. Those final layers pulled everything together. In the meantime, I did start working on a small mandala in my pocket Leuchtturm1917 sketchbook. It just felt so freeing to be working strictly in ink. No pulling out paints, preparing water and washing my brush in between areas of the illustration. Just straight ink right down onto the page. Alas, I know watercolor’s siren call will pull me back, however. Just what shall I do to fill up the rest of that darn Moleskine? I hope you feel inspired and the art brings a smile to your face! Be sure to follow my Instagram account @kellyro77 to stay up-to-date on my creative endeavors. Preface: I think everyone has to experience a product for themselves to see, ultimately, if it’s going to be the right fit for them. You don’t know until you try. Even for me, when I watched many professional watercolor artists give demos and their professional opinions on the best paints, brushes, and papers, I still took their advice with a grain of salt and had to experiment with the products myself so I could have real-life experience with them and see if they fit my needs. This is not a push to get you to invest in an expensive watercolor paper, but a recap of my experiences using several different brands/types. I used it occasionally, but, I feel, not under a heavy degree of layering and washes. I enjoyed the paper enough, but I was still pretty new to my whole watercolor journey, so I feel like the paper’s quality went under-appreciated by me. 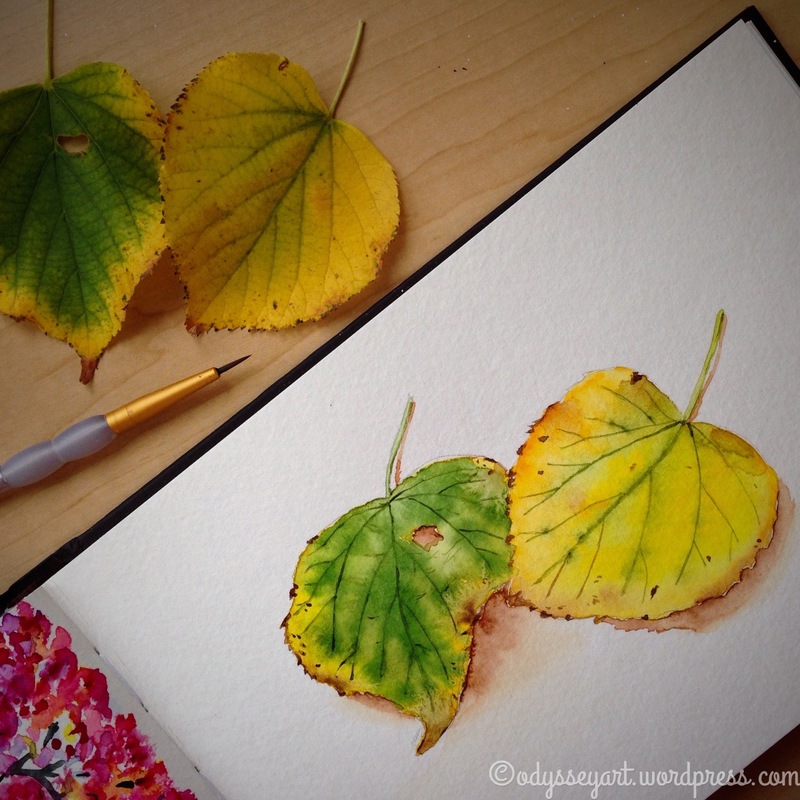 About a year ago I discovered a brand new appreciation for the Arches Aquarelle watercolor paper. I was partaking in Angela Fehr’s Watercolor Summer Challenge (now since closed), and for the particular challenge I worked on, I decided to pull out the Arches paper as I wanted to work in a larger format than what I’d been doing previously in my smaller 5″x8.25″ Moleskine Watercolor album. Moleskine’s watercolor paper is absolute crap. 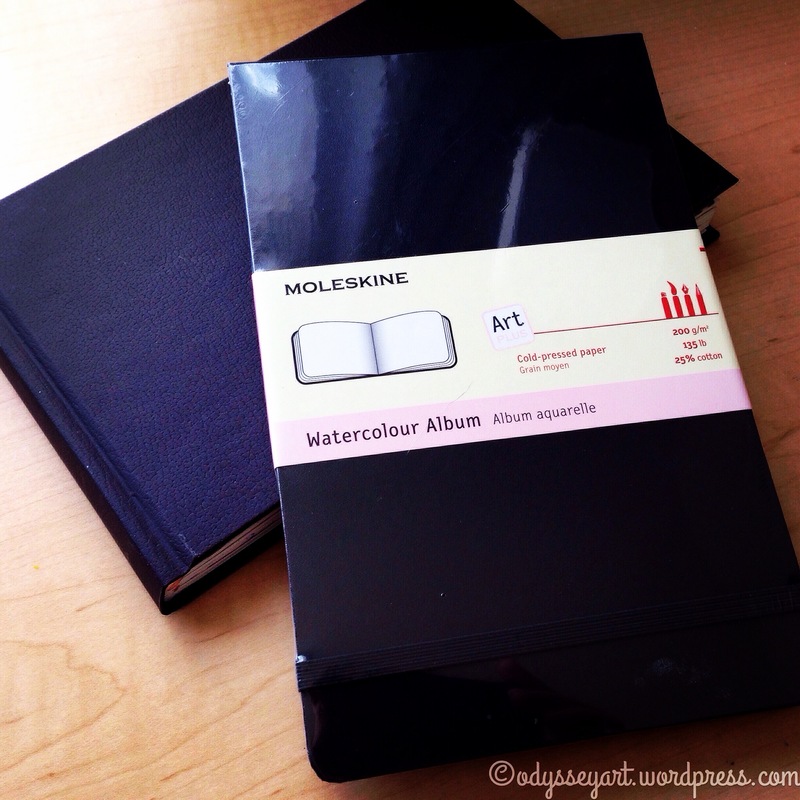 So why do I detest the Moleskine paper so much? So many artists use this very sketchbook all the time. It can’t be that bad, can it? 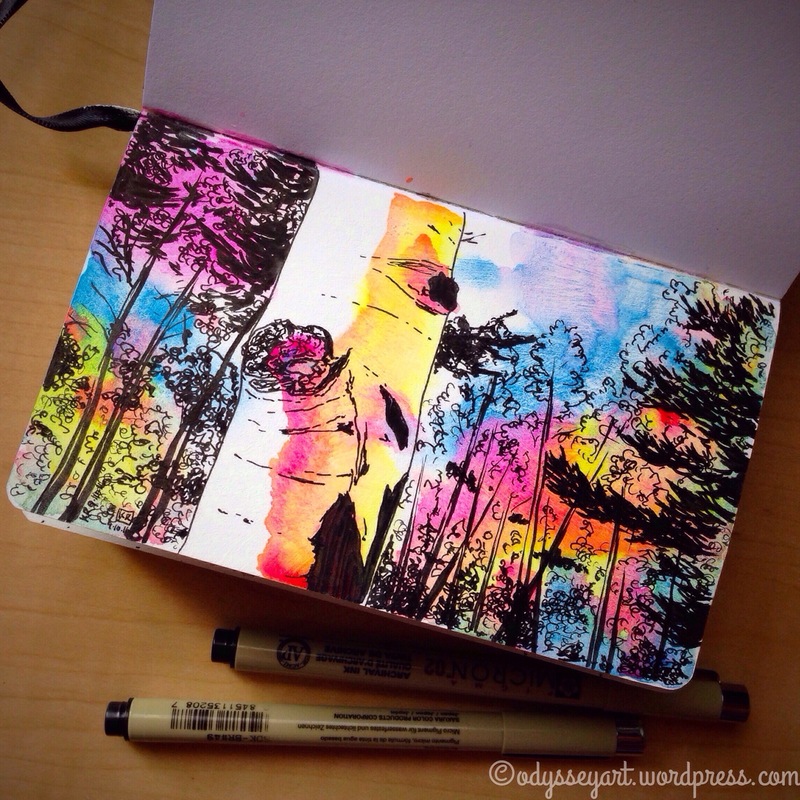 I cannot speak for other artists and assume I know their reasons for using the Moleskine. Not every artist uses the sketchbook in the same way I use it. In fact, in a lot of cases, the Moleskine watercolor sketchbook is a very good, practical solution for many people. Just remember, I’m relating my own personal experience. I find the paper in the Moleskine watercolor sketchbook is extremely unfriendly to any layering/glazing. The paper is not very absorbent, so the pigments don’t soak into the fiber like they do in artists-grade papers. They seem to just kind of sit at the surface like it’s non-porous, which turns into a real disaster when you’re wanting to go back over it with another layer of color. The pigment activates again and depending on how wet your brush is, you either end up moving the pigment all around or you end up lifting the pigment altogether. The word “frustrating” is putting it mildly. Detail of a painting in the Moleskine watercolor sketchbook. The significant warping found in a Moleskine watercolor sketchbook. The Arches paper, however, does not do this. The water soaks in and disperses evenly, pigments lay down smoothly and settle into the fibers. Once dry, they do not reactivate and move all around or lift as though they’re sitting on a non-porous surface. 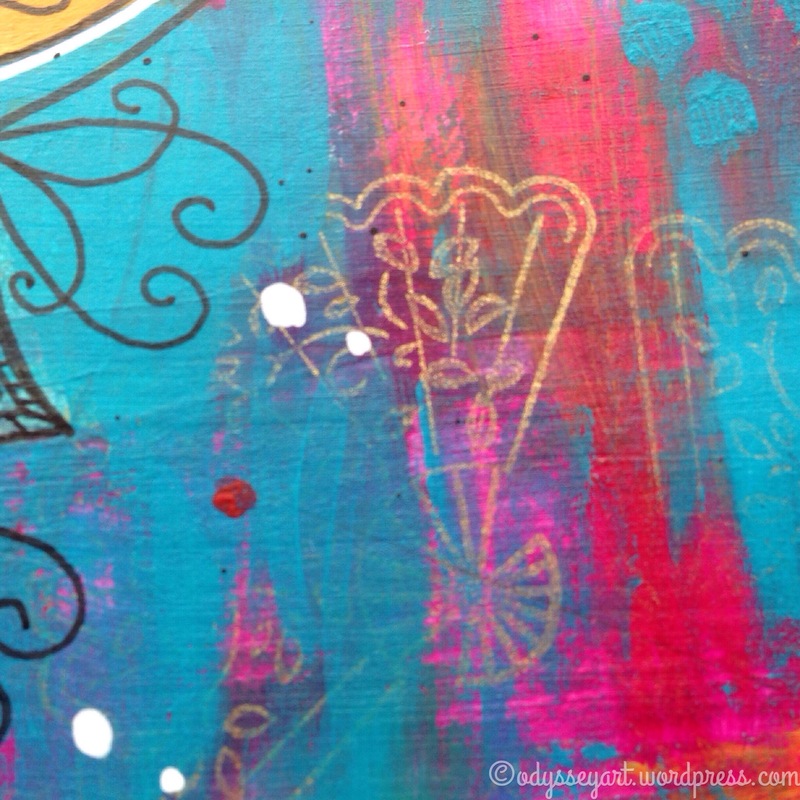 You can reactivate the pigments and lift them to a degree on this kind of paper, but it’s done under your own control. There’s far less guessing if something’s going to start moving on you. 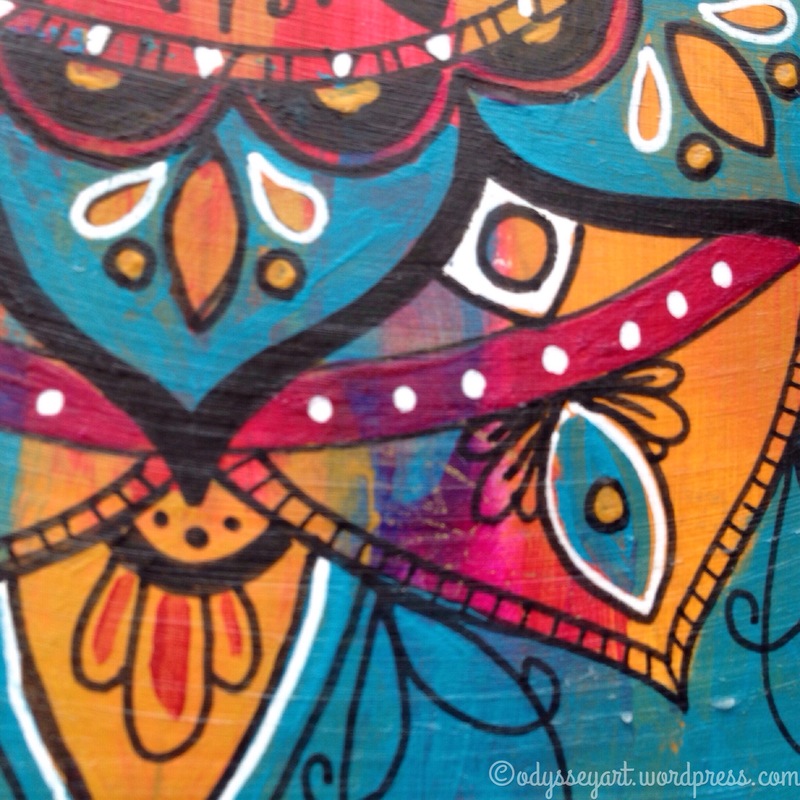 Detail of painting on Arches paper. 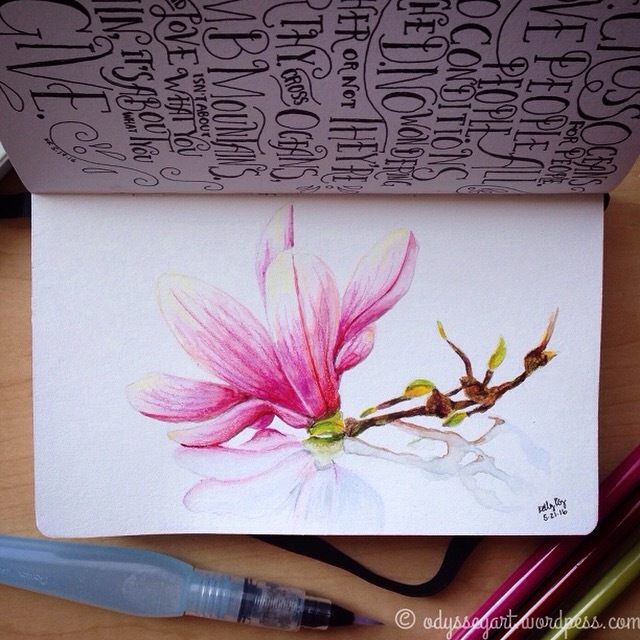 So, what is the difference between the Arches paper and the Moleskine paper? I’ll put physical dimensions aside for this and focus on the makeup of the papers themselves. The obvious differences here are the paper’s cotton content and weight. You would think a 5-pound difference wouldn’t be that big a deal – but it’s huge. The Moleskine’s paper is comparatively lightweight, and it warps and buckles significantly under moderate amounts of water. The percentage of cotton used in the paper also plays a role in how much water the paper is able to absorb, as well as how much it will buckle. To be fair, where the buckling is concerned, the Arches paper I have is on a watercolor block, meaning all four sides are actually glued down on the edges, where the Moleskine is only secured on the bound edge. Having all edges secure helps reduce buckling, and yes, even the Arches paper buckled a bit under heavy washes of water – but it certainly took a greater volume of water to get to that buckling point than what the Moleskine would have taken. As far as how paint flowed on these papers, I feel the paint flowed similarly between the Moleskine and the Strathmore (most likely because of the wood-pulp makeup of these papers.) The Arches paper just had a different feel to it, probably because the paper would stay wet longer than either the Moleskine or the Strathmore. The Strathmore paper buckled far less than the Moleskine, however, and I think that primarily had to do with the weight. 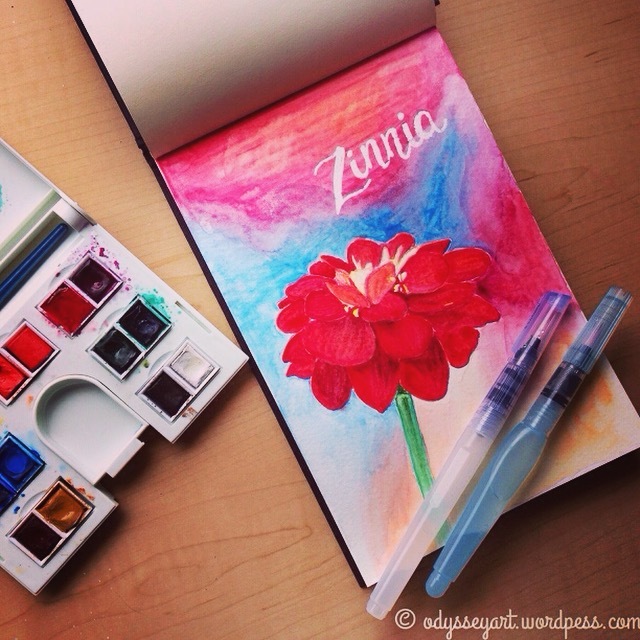 Painting in Strathmore Watercolor Art Journal. A look at the minimal buckling on Strathmore’s heavy paper. I hate to dangle this one out there because it’s not available for purchase. It was a kickstarter campaign and a limited number were created. There wasn’t really a decent return on investment for them after the project was said and done, so I’m not confident they will make another batch of these again. But I want to put this sketchbook in the mix as an example of what a difference good watercolor paper makes, and hopefully, someday, someone else will figure out how to mass-produce something of this caliber in the future. In this sketchbook, I still have buckling issues like I had with the Moleskine, but not quite as pronounced due to the paper being 100% cotton. Best of all, I absolutely have much better paint-flow on this paper than what I had in both the Moleskine and the Strathmore, thanks again to that 100% cotton make-up. Painting in The Perfect Sketchbook. 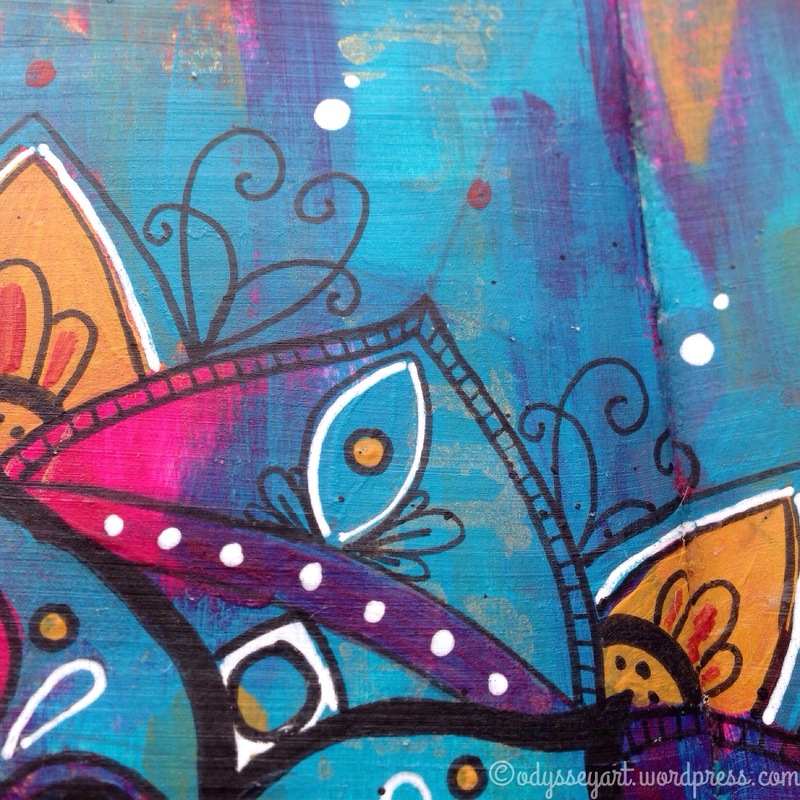 Detail of painting in The Perfect Sketchbook. 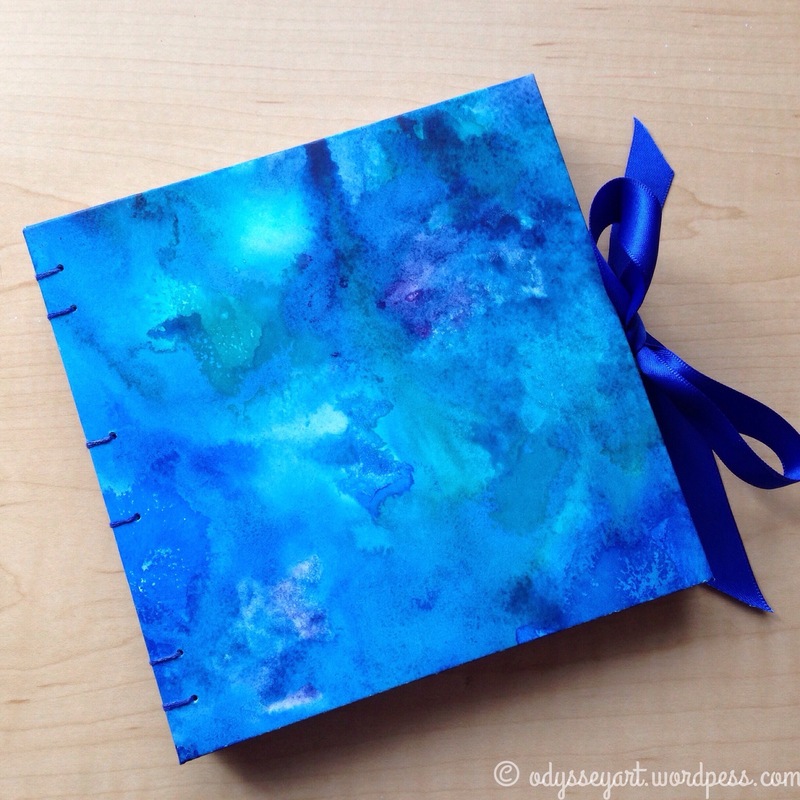 Fabriano Artistico paper featured in The Perfect Sketchbook. A look at the warping in The Perfect Sketchbook. So what will I do once I fill up my Perfect Sketchbook? Will I go back to using the Strathmore? No. 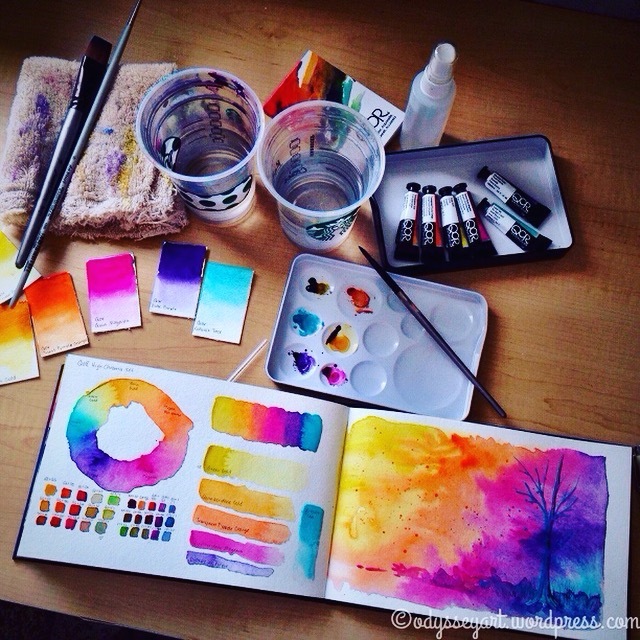 In a perfect world, I’d find a watercolor sketchbook made out of 300 gsm / 140 lb 100% cotton paper. UPDATE: May 2, 2018 – I found a shop that carries Arches Watercolor Sketchbooks! Oh happy day! I will share their info after I receive my shipment. It’s a smaller art store, so I’ve not had any experience with them and how careful they are when they ship items and what their customer service is like, so I’m going to hold off on sharing the shop details until I’ve received the sketchbook and it’s in good shape. 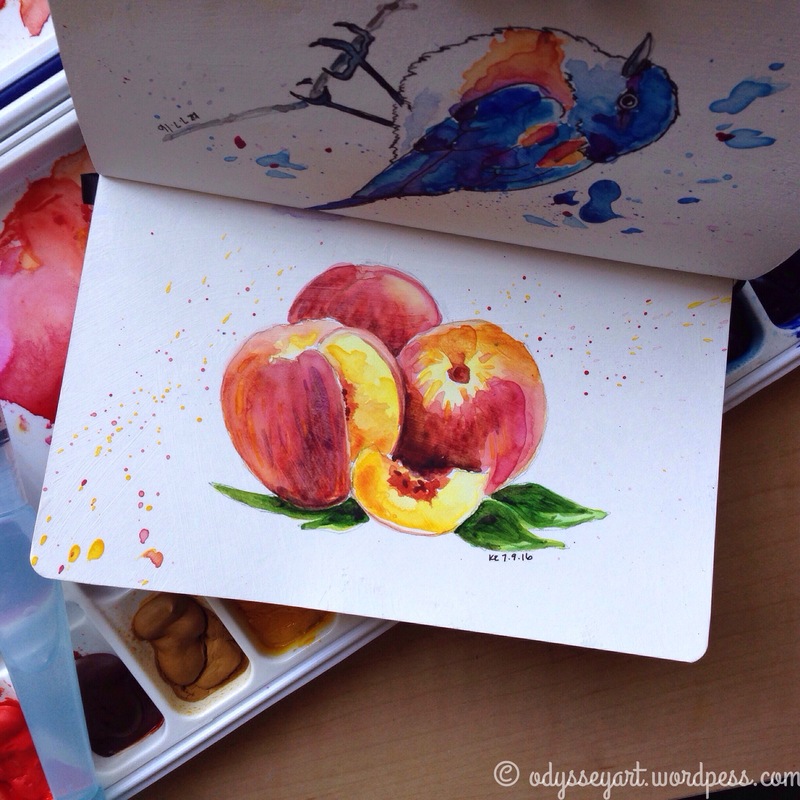 From top to bottom: Moleskine Watercolor Sketchbook, Strathmore Watercolor Art Journal, The Perfect Sketchbook. At long last and well over a year of use, I finally finished filling in my second Moleskine pocket sketchbook. I can’t believe how long it took me to complete the sketchbook from cover-to-cover. To be fair, if I’d put every piece of art I’ve worked on over the past year into it I would have finished that sucker up in like a couple of months. However, I keep alternating between sketchbooks and art journals, depending on my mood and what mediums I’m using. What finally pushed me to fill it was jumping in on another daily art challenge on Instagram. This one is for the month of April by Tori Weyers of @drawriot, a very gifted mixed-media artist whose completed sketchbook/art journal collection is a thing of envy. 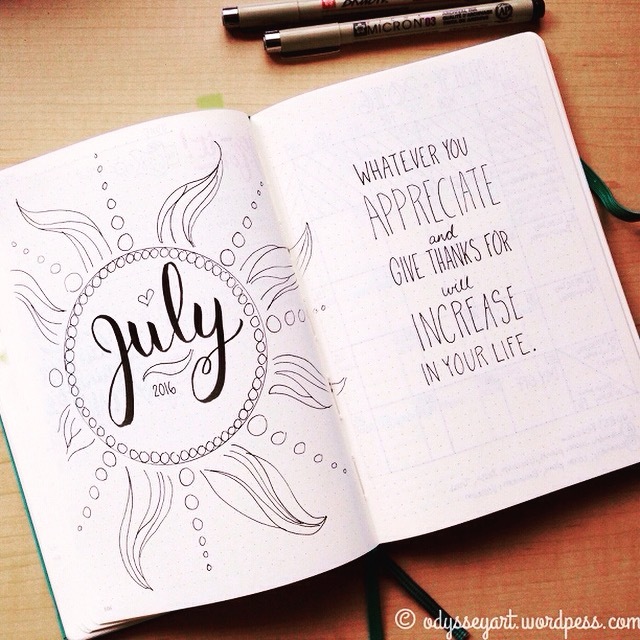 Her challenge for the month was various flowers every single day. I decided to join in since flowers are not too intimidating and because they’re just plain pretty. Not much else to say about this one. It was great to close up another sketchbook for good. Always a great sense of accomplishment in doing so. Watch the flip-through below, and I’ve included some various still shots of the work I put in it since October of 2016. I’m having a bitter-sweet beginning of May. I’m supposed to be in Hawaii right now, visiting with friends and enjoying the ocean air. But I’m not. I’m home, instead. I made the difficult decision to cancel my trip at the last minute and instead use my already approved time off from work to just stay home and rest up. But, wow, I sure needed this down-time. Along with just resting and relaxing, I was able to leisurely catch up on chores and errands that had gone neglected during the peak of my illness. I even managed to transplant a couple basil starts and get my containers ready for my tomatoes. 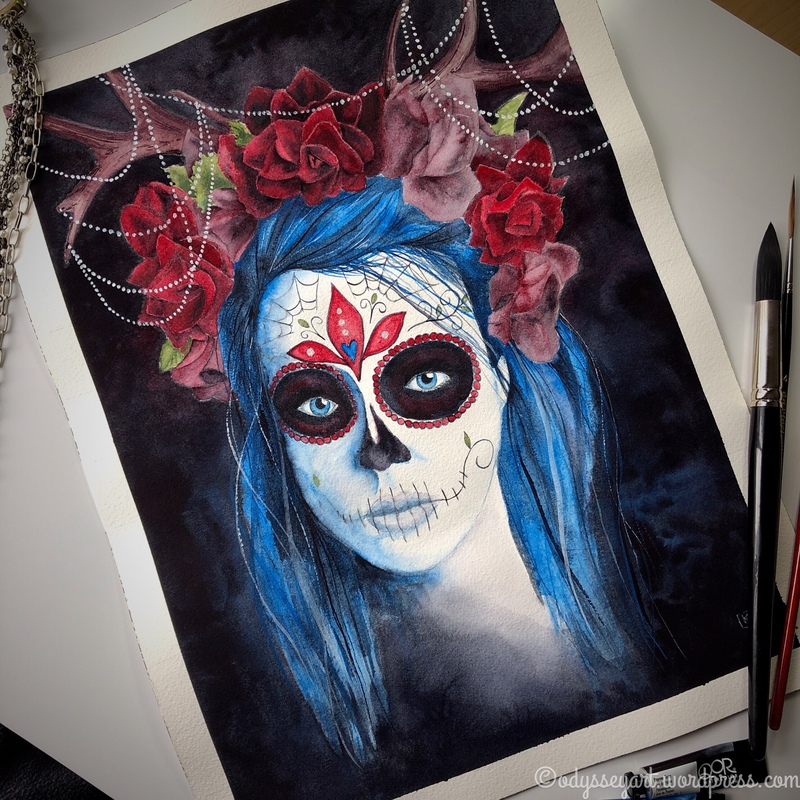 Best of all, I had time to complete the last painting I was working on in my Strathmore 400 Series Watercolor Journal (link in materials list below). I’d been working on it for what felt like at least a month (between work, other obligations, and being ill.) I’m really happy with how it came out, too. This one has a story behind it, too. 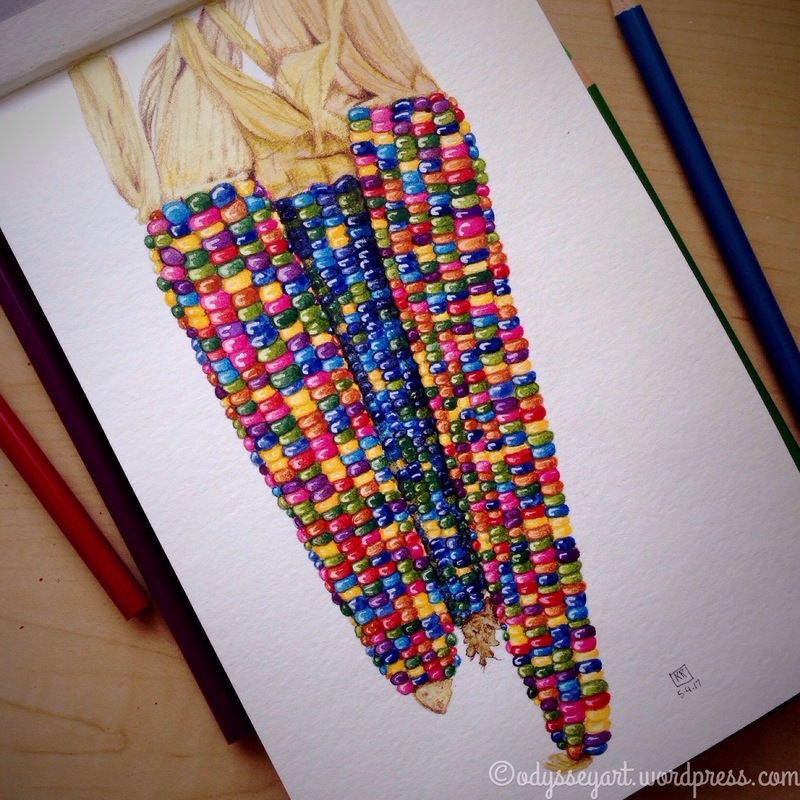 Corn isn’t exactly something I ever feel compelled to paint. I barely even eat it. But I was introduced to this type of corn, called “Glass Gem” by my work. I was actually almost given the opportunity to create the piece specifically for my job, but one of our established (and way more talented) botanical artists heard we were going to be featuring this corn and really wanted to do it, so we gave her the commission. 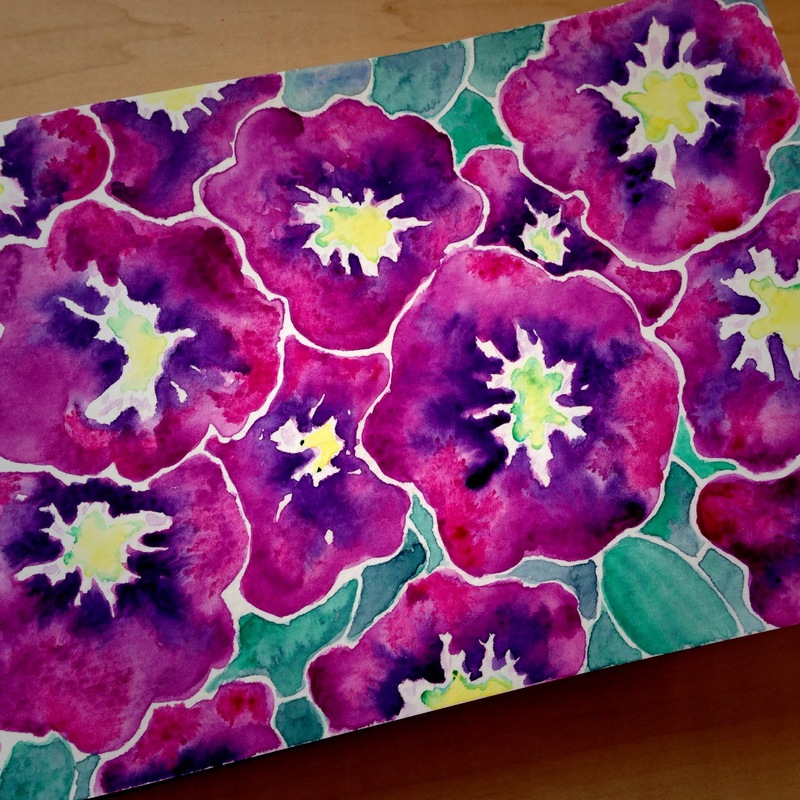 And with the completion of that painting also came the completion of the watercolor journal. Huzzah! If you’ve read my earlier blogs, you know how satisfying it is for me to complete a sketchbook from cover-to-cover. What’s even more great is that because I’ve had all this time off, I’ve also had time to record and post a flip-through on YouTube, plus I actually have some time to blog about it. Whoopee! 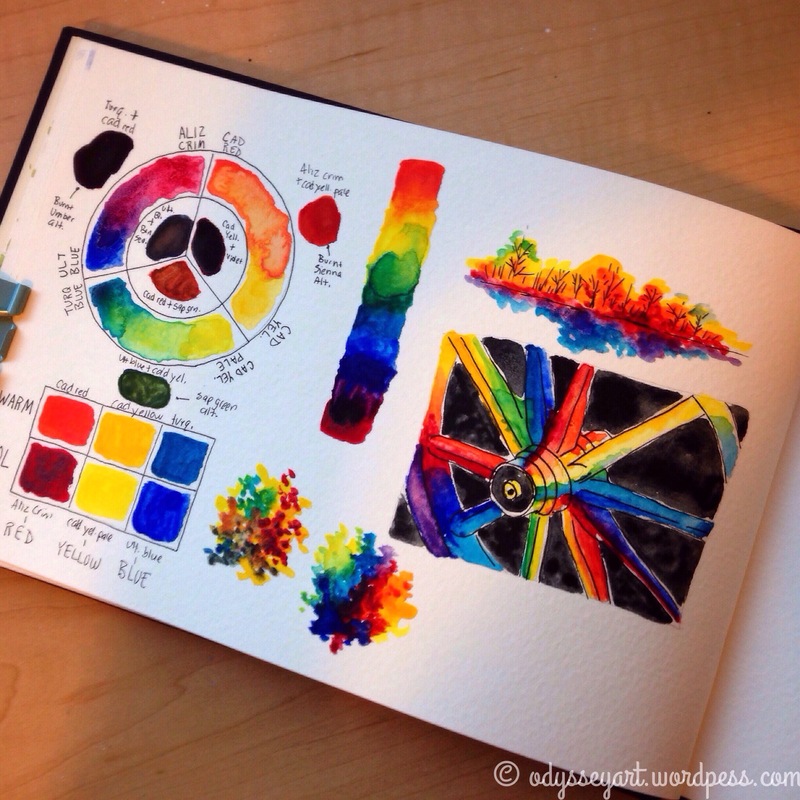 This watercolor journal took nearly a year to complete. In no small part because I obviously jump between other art projects, particularly focusing on filling up other sketchbooks, like my pocket Leuchtturm1917 sketchbook, and now my current pocket Moleskine sketchbook. The Strathmore’s paper was nice and heavy—300lb—and the binding is nice and tight so there was never any problem of paint bleeding through the binding to other pages. I actually did already purchase another Strathmore watercolor journal to work on in the future. But that will come after I finish up this new Moleskine. It was fun to watch my flip-through, however, and see how my art continues to progress. I’ll post up a few photos of my favorite pieces in the blog, although if you follow me on Instagram, I’m sure you’ve seen these images before. In any case, very happy to share this with you. 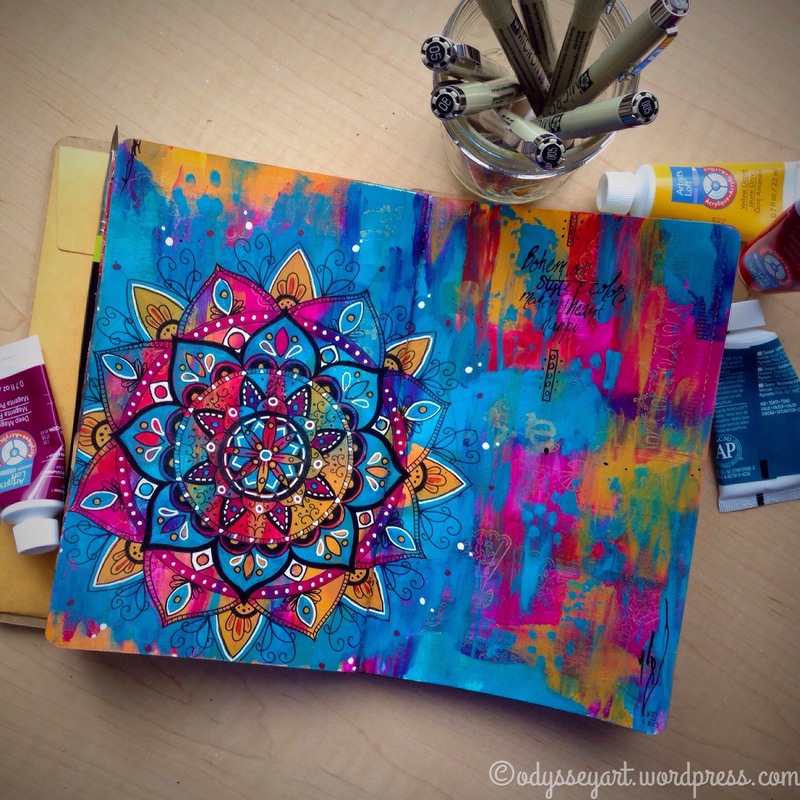 It’s been a while since I’ve posted in regards to an actual art journal page. You know I’ve gotta feel this one is special if I’m doing it now! Yesterday I found myself digging around online for ideas for a bedding set. 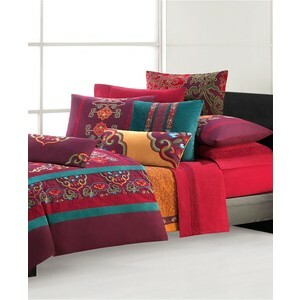 I recalled a long time ago I came across these gorgeous, colorful—and extremely pricey— bedding sets that would sometimes be sold at Macy’s. I couldn’t remember the name of the company that provided them so I spent a great deal of time googling “colorful bedding”. 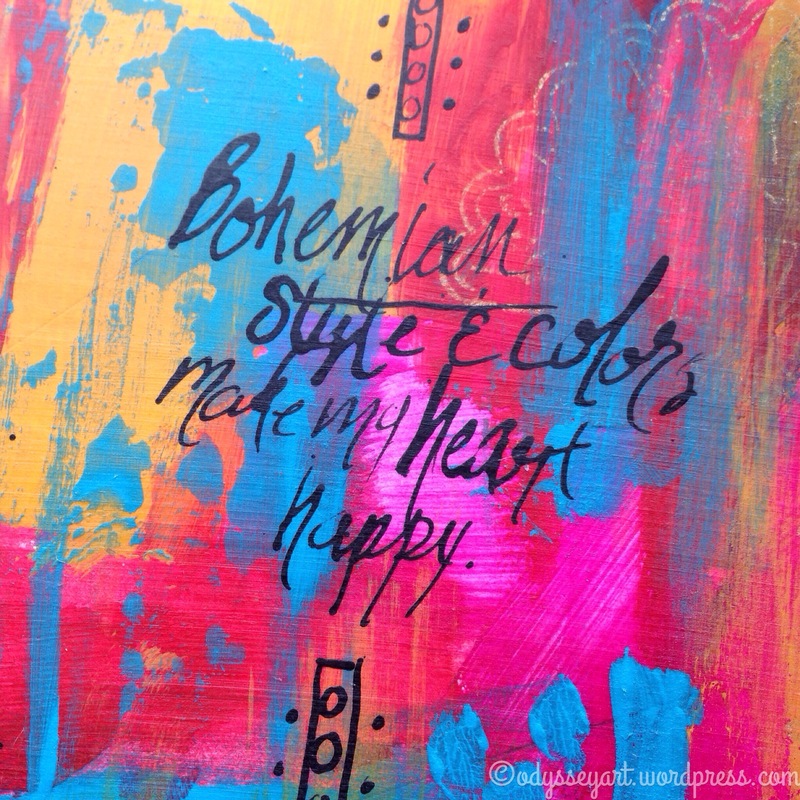 This lead me on a wonderful journey of gorgeous bright colors particularly under the style of bohemian. Eventually I found the name of the company whose bedding I adored: Natori. And I even found a photo of one of their sets that I’d fallen in love with (which is currently not available any longer—sadness.) Just look at those colors! By the time I found the Natori bedding set I’d remembered, my creative mind was totally saturated with bright, beautiful color combinations. I was just itching to smear down the colors of this set and then it all took on a life of its own from there. Once the colors were down I had to add some pizazz with gold stamping. I was almost tempted to leave the layout as it was, but that is typically difficult for me to do. 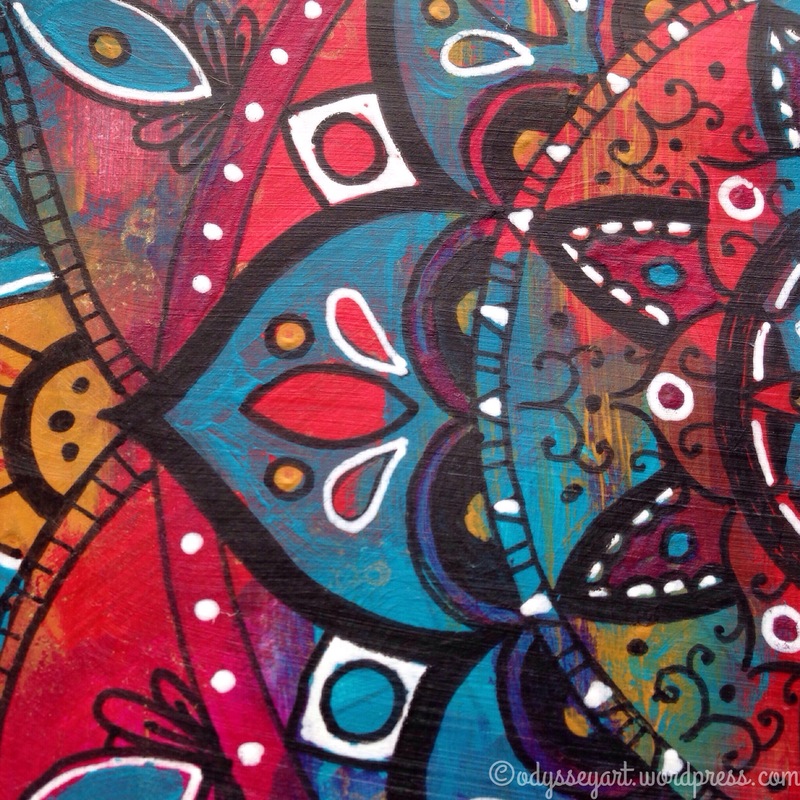 I really wanted it to have a focal point so I decided to draw a mandala over the background. I’m so glad I took this risk. I love how the page turned out. 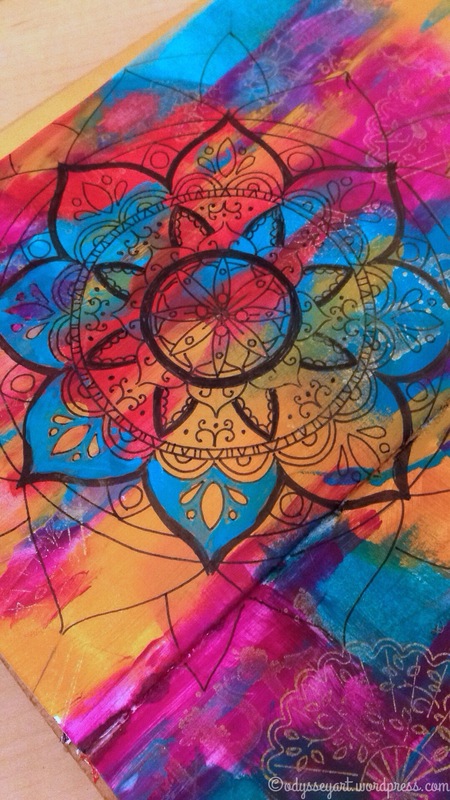 This is the first really colorful mandala I’ve ever done, as well. All my other mandalas are straight black and white. 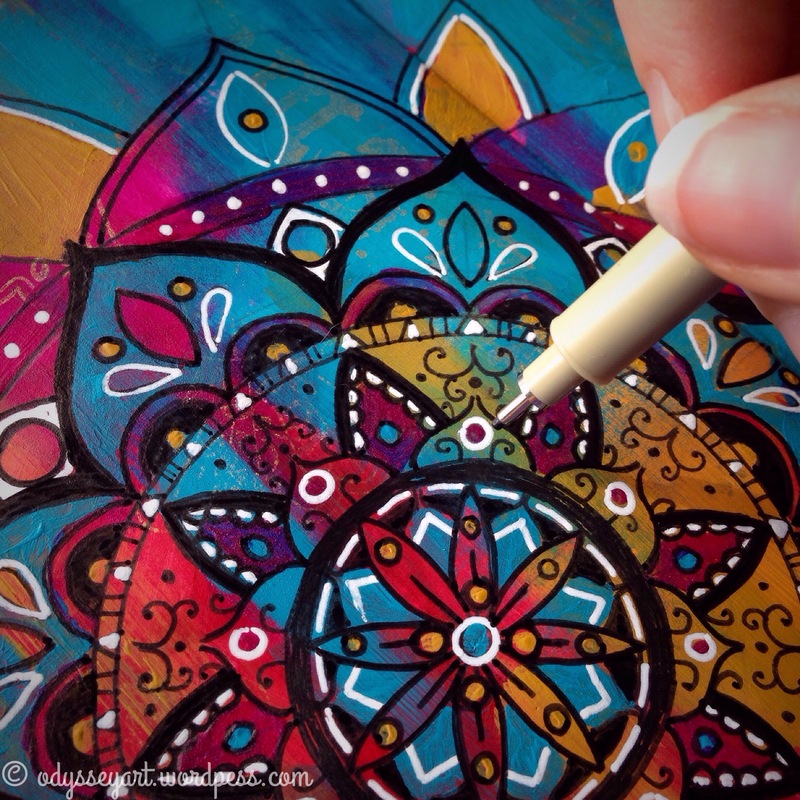 There’s a couple I did over the top of a messy watercolor background, but I didn’t actually color any of the components of the mandala itself. This was pretty straightforward, however. 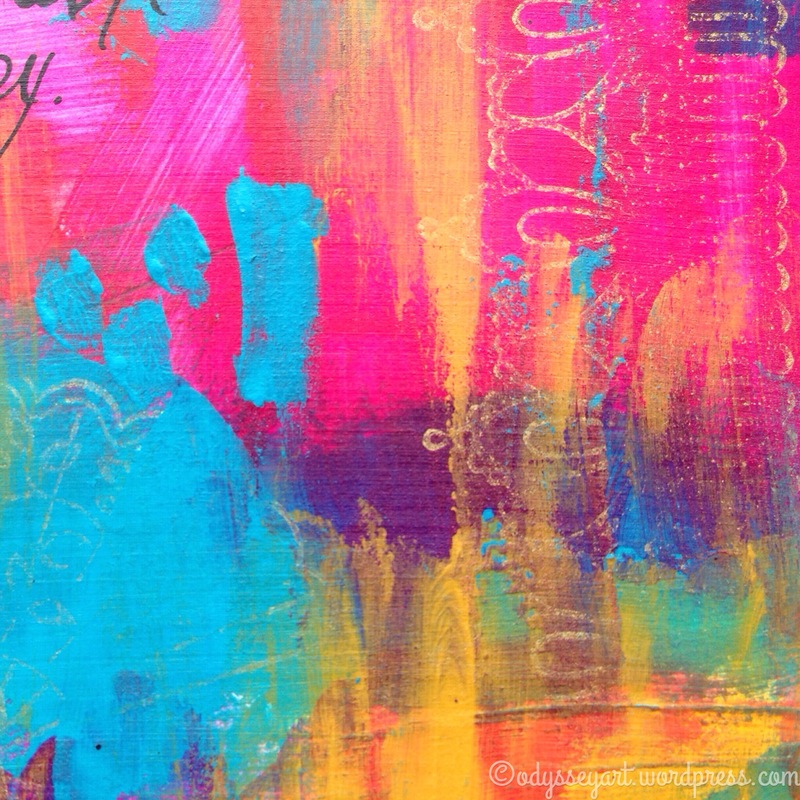 I used Artist’s Loft Acrylic Paints in Crimson, Deep Magenta, Yellow Ochre and Turquoise. ColorBox Gold Metallic Pigment Inkpad was used for the stamping, and then I used my Sakura Micron and Uni-Ball Signo pens for the black and white detailing. The final touch was to scribble down a brief sentiment, which I did using a dip pen and Dr. Ph. Martin’s Bombay India Ink . Hope these colors make you as happy as they make me feel. Now I just have to get my hands on a bedding set like the one that inspired this design. In case if you didn’t get enough, here are some more juicy details with eye-blinding, happy-making colors! Hope you enjoyed the layout. Please leave a comment, like or share the page, and be sure to follow me on Instagram where I post other miscellaneous projects and sneak-peaks of future layouts! Thank you! Every year, like a lot of people, I tend to set goals for myself. Actually, I like to think of them more as aspirations as that word just gives me needed wiggle-room. I find if I set actual goals and do not accomplish them, I use that as an excuse to be unkind to myself, and I really don’t need that in my life. I am certainly trying more and more to accept life and myself as is – imperfections and all. Kudos to you type-A goal-setters and achievers out there. You will certainly have me cheering you on—but don’t worry that I’ll be chomping at your heels trying to out-do you anytime soon. That said, at the end of the year, I find it enjoyable to look back at my aspirations that I’ve written down and see how far I’ve come, if at all. Actually, I’ll do this periodically through the year as curiosity arises. But overall, my aspiration list sometimes turns into a “set it and forget it” type of exercise. I don’t constantly monitor the list and fret over it all year long. I had several aspirations for 2016. Several of which are personal on the spiritual level, and I’ll choose to keep that information private. 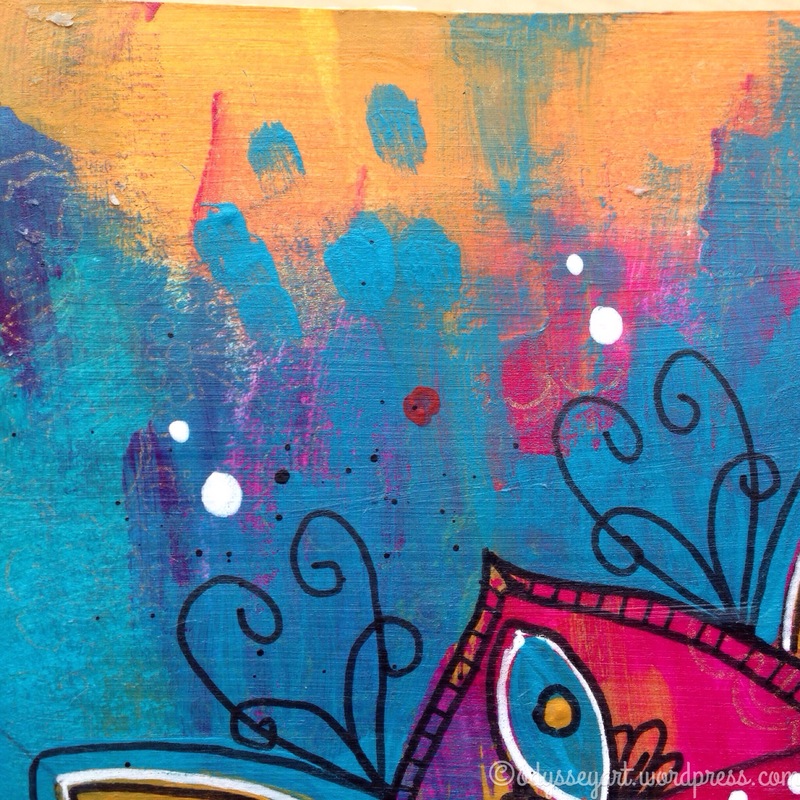 This is an art blog, after all – not a philosophical spirituality blog. In addition to those personal, spiritual aspirations, I also had several aspirations regarding my creativity, however, and I was able to check a few of those aspirations off my list by the end of this year. Now, I don’t know why I wrote the word “perfecting”. I’m done with ever expecting perfection out of anything I do. “Improving” would have been a better word. And I feel I’ve really managed to do that. 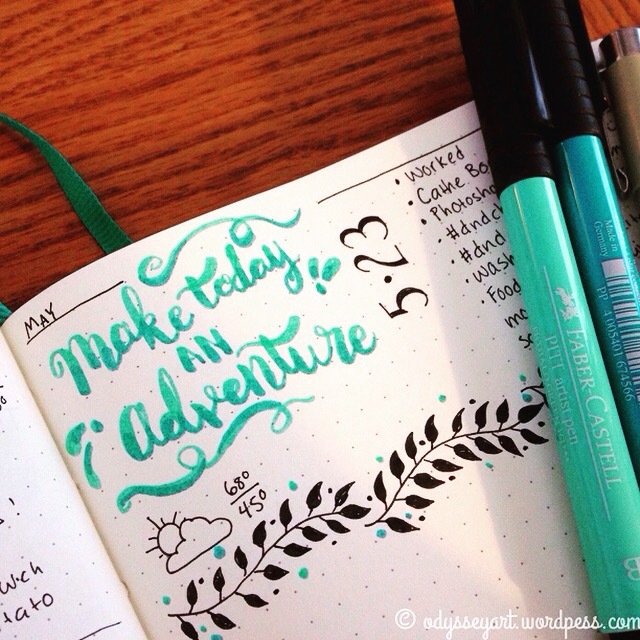 Most especially along the lines of brush lettering. This is a huge deal to me, as not long ago, I continually found myself envying those people who did such beautiful brush script that I would see everywhere. I definitely have not “perfected” anything, but I have certainly improved. I believe this aspiration will make it onto my 2017 list, as well. 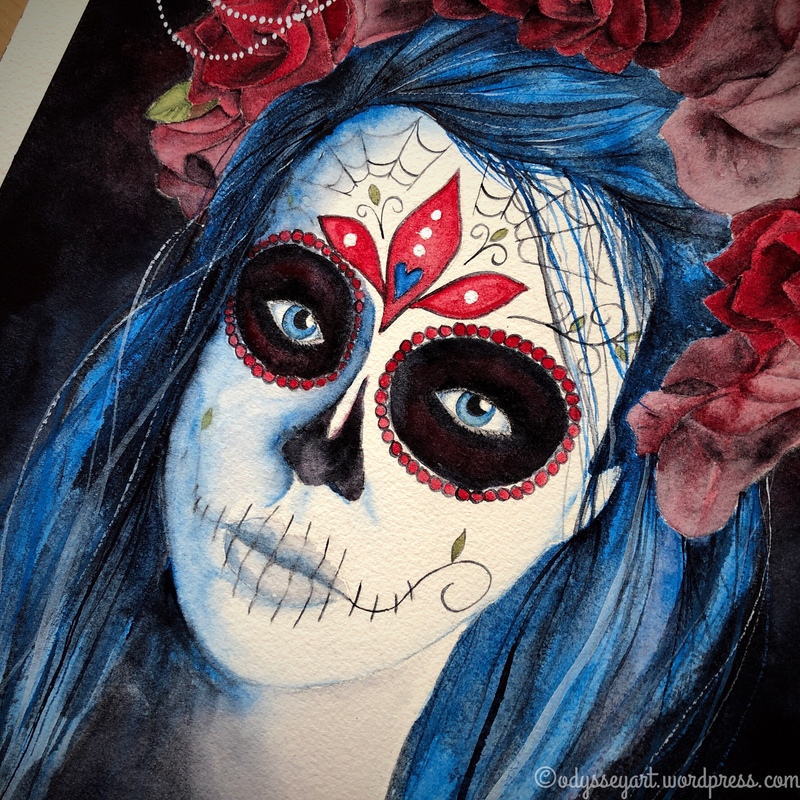 If you’ve been following my blog, or especially my Instagram account, I’m sure you’re well aware that I tend to do quite a lot of art in watercolor. 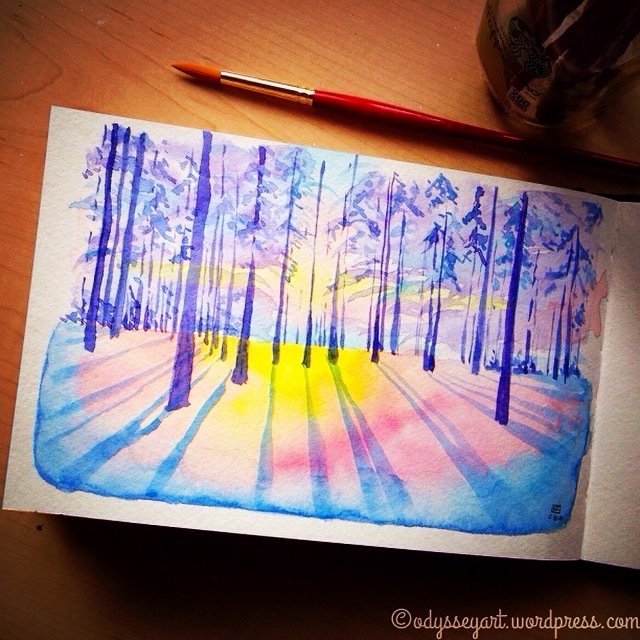 So yes – I have definitely stuck to my aspiration to practice watercolor skills. This will be another aspiration that makes my 2017 list. It will probably remain on my aspiration lists for the rest of my life. This is such a fun aspiration, too. I just love working with watercolors. 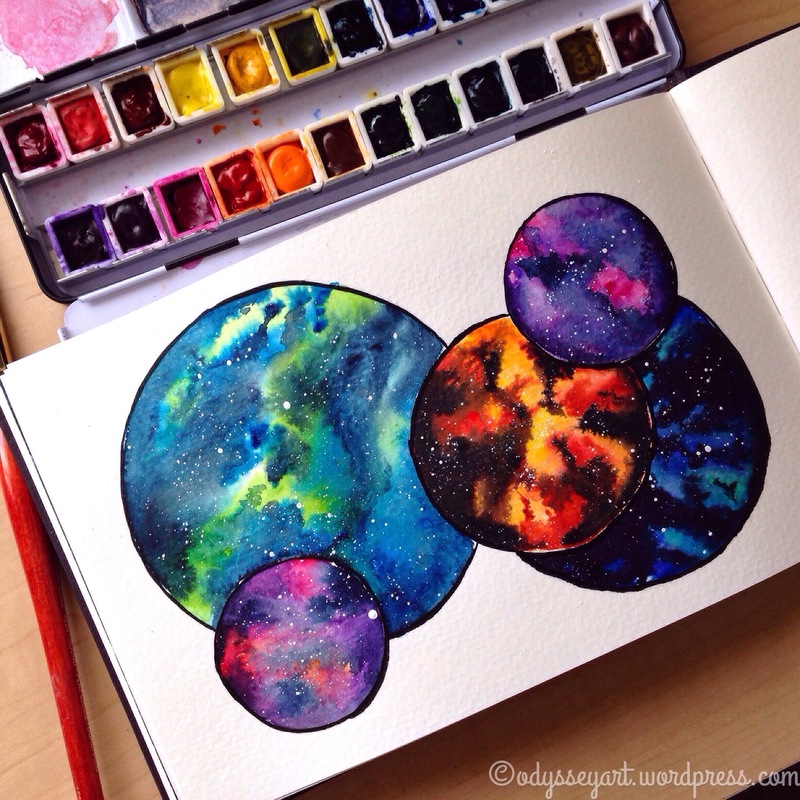 Finish a full art journal by the end of the year. Now, this one I’m gong to give myself a little leeway on. 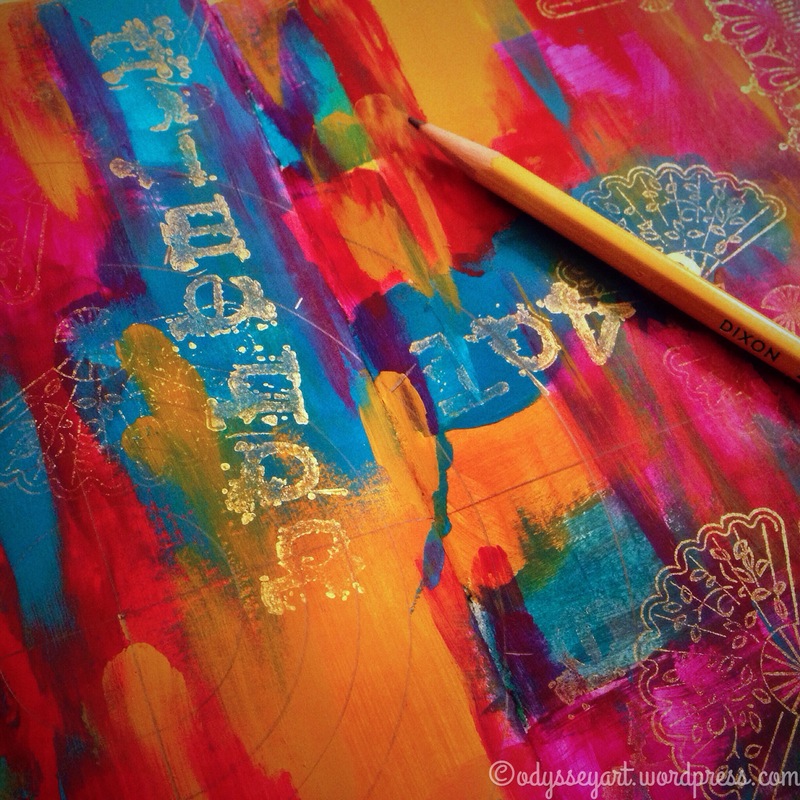 When I first wrote this aspiration, I was envisioning a full mixed-media art journal. As my art journey has progressed, I’ve found that I’ve stepped away from doing a lot of mixed media art journaling in favor of doing more specific art layouts. Most of which were in single-media. When I started doing daily art challenges on Instagram, I found myself favoring single-media layouts, as they were simpler to work with all around. Far less time-consuming. Mixed media requires pulling out a lot of different materials, and when I’m trying to whip out something in just an hour or two in my spare time between my full time job and other commitments, sticking with a single media was far more practical. So, while I did not finish a full mixed media art journal this year, I did, in fact, finish three sketchbooks this year. I’d say I met that aspiration and then some. Try video-recording my art layouts. I did this with one art layout thus far. It was for a piece I did in my Leuchtturm1917 sketchbook that was called “My favorite color is October.” I found by doing this, that I still have a long ways to go where recording and sharing my work goes. This first trial run only made a 45-second run on my YouTube channel. That was because I could really only get 45 seconds of useful footage out of the entire session. The rest of the time, I was either creating out of frame, or my head was smack in the middle of it. I really don’t know how other artists do these recordings without their heads getting in the way. Maybe they just have better eyesight than me, but I really need to put my head over the top of my work, for the most part, to be very clear about what I’m doing. Will I try to do more? I really don’t know. I don’t think this will make my aspiration list for 2017. I just don’t think it’s that important. At least not at this point in my art journey. 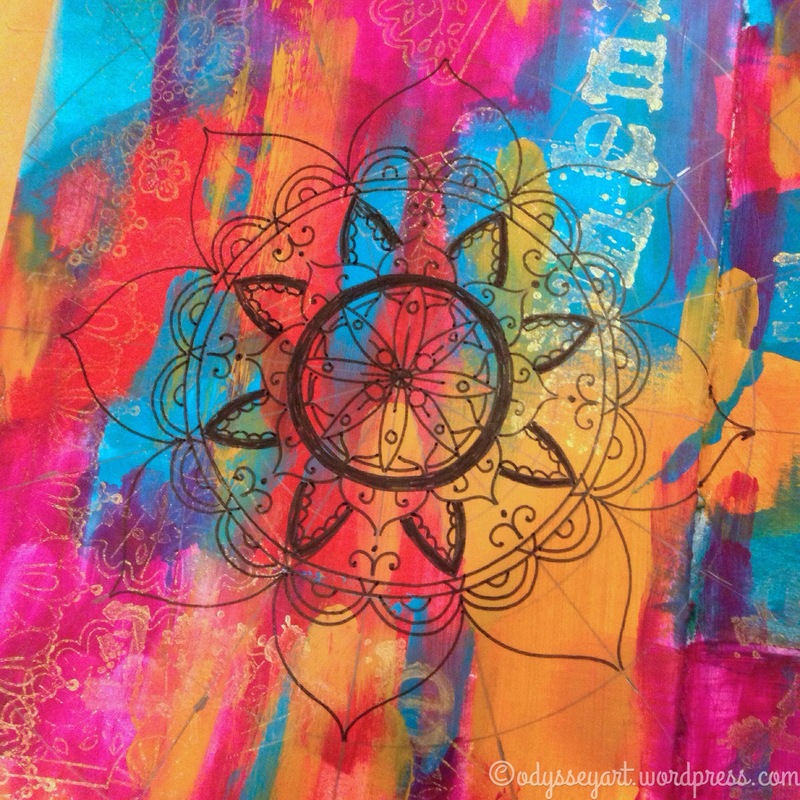 Get an art journal flip up on my blog. What did I not complete? I wanted to really spend a good chunk of time practicing human face and figure drawing. It is still an aspiration of mine to be able to draw people without having to reference photographs. I can draw people that way just fine, but that brings up the tricky line of making sure I’m not violating a skilled photographer’s copyright on a beautiful photograph of a model. Yes, I’d love to draw people straight from my imagination. I didn’t get around to working on that in 2016. Clearly 2016 was not the year to do that. This will make my 2017 aspirations list, however. Maybe when 2018 rolls around I’ll surprise myself with this. Or maybe it’ll end up back on the list with no progress. 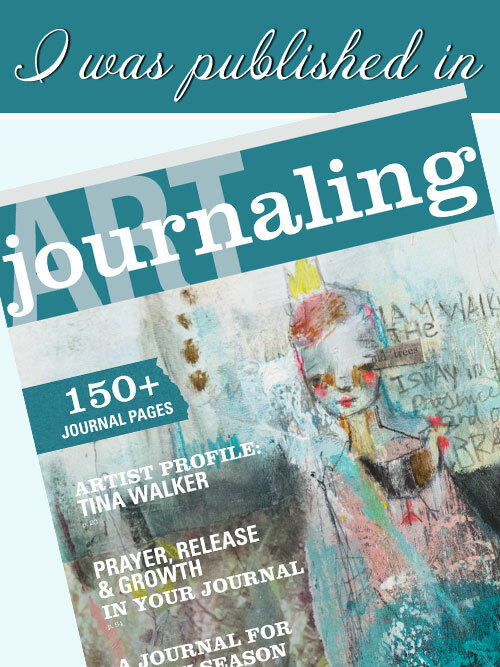 I wanted to have my art published again in another publication like Art Journaling. I think I could have made this happen, but this is really an issue of my not taking the time to submit my art for consideration at all this year. I think this will go back up on my aspirations list, however. It’s good to put myself out there. So I met five out of seven of my creative aspirations. All without looking at my list constantly and fretting about it. They just happened organically. And for that, I am grateful. What other art experiences did I have this year that I enjoyed? Well, I gave bullet-journaling a good six-month try. I ended up dropping it around mid-August. I am going to try to take it up again, but with a few adjustments. I’m not going to keep trackers on it (like a checklist of how many times during the month I vacuumed the floor, or whatever other nonsense I put on my tracker.) Again, the trackers were just an opportunity for my perfectionist to see problems and berate myself for them instead of use those “gaps” as opportunities to do better. Trackers are not for me. I also disliked how time-consuming these were to set up and work on. I think I may still find this to be an obstacle. Especially when setting up a brand new month. Why have I decided to give bullet-journaling another chance, then? Ultimately it was because I really enjoyed flipping back through the pages, especially my monthly memory pages, and being reminded of special little events that I would have otherwise forgotten. A favorite of mine that I came across was a little note and doodle in reference to an experience I had in the spring rescuing a baby bunny from one of my parent’s deep window-wells. I had almost forgotten all about it until I came across that memory in my bullet-journal. 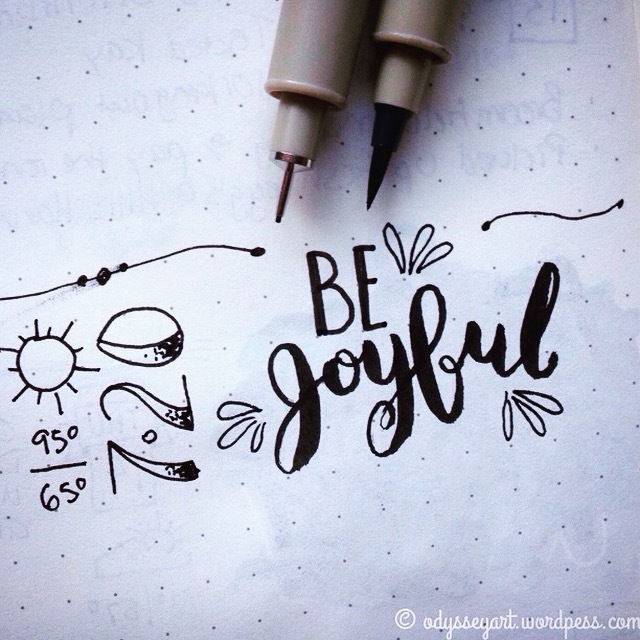 What I think I’ll find challenging about bullet-journaling is my desire to doodle and then share those doodles on social media. While this particular blog entry may seem like a huge tell-all, I really am a pretty private person where my daily life is concerned. The world does not need to be privy to my doctor appointments, waking and sleep times, family events, when the oil in my car needs to be changed, etc. I know there are a lot of people out there who seem completely comfortable with sharing all of that information on social media, but not me. What is difficult, however, is that I do like to share my art with everyone. There’s something I just find fun and cool about journal pages that share hand-written notes with pretty doodles, scribblings, colorings, etc. 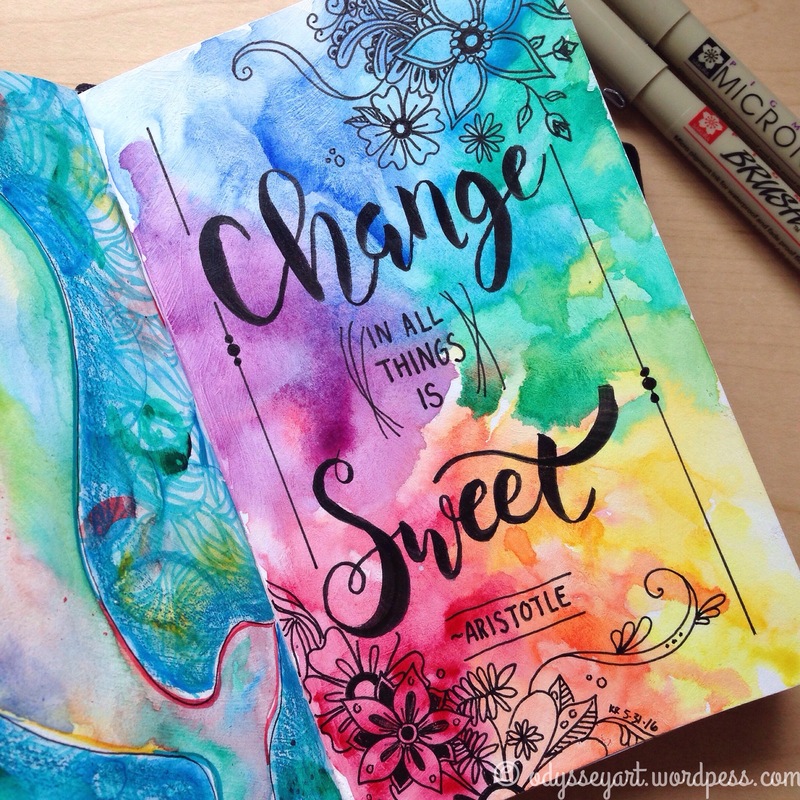 I feel like a jealous miser when I flip through my old bullet-journal pages, admiring how pretty they are, but not sharing them with the world. I guess that’s just something I will need to learn to be comfortable with. The world doesn’t have to see every little doodle and scribble of mine. Another experience I really found rewarding in 2016 was participating in daily Instagram challenges. This activity lead me to create something new for around 200 days straight. It still boggles my mind that I managed to do that. I started giving the daily challenges a break around August, as well (something apparently broke in August, haha!) But that doesn’t mean I stopped creating entirely. Again, if you follow me on Instagram, you know I’ve been continuing to create on a regular basis. Just not every single day. And that’s perfectly okay. But again, that was a wonderful experience to have. I finished a full-size painting. This girl has graduated to actual canvases now. Well, I don’t exclusively work on canvases. But I’ve done a couple now, and doing one that was 40″x30″ was quite the experience for me. It was definitely an exercise in patience. Coming from creating something daily within an hour or two every day, being accepting of a piece taking a few weeks to complete was a big deal. I was extremely proud to have completed the painting, however. It now hangs in my bedroom above my bed. I have a lot of other big white walls in the house to cover, so there may be more large-scale paintings in the future for me. Finally, another fun experience was selling a few coptic stitch commissions. It’s still so fun to imagine those sketchbooks getting filled with other artist’s creations and ideas. I hope for future commissions on those, for sure. Final product ready for beautiful art to be created inside! 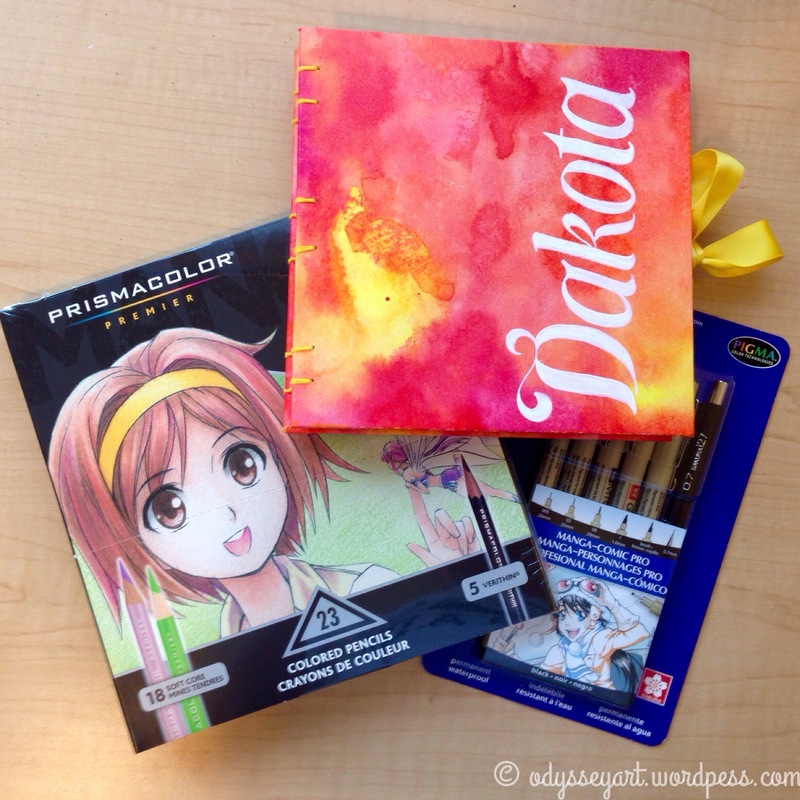 Sketchbook with Manga-themed colored pencils and pens. So that’s 2016 wrapped up all nice and neat. It was a wonderful, creative year. Well, you’ll just have to make sure you follow my blog and my other social media accounts to find out. I don’t have a crystal clear picture of all my latest aspirations yet. Some I shared with you—I may end up with even more. You’ll find out with me when it’s time! Happy new year everyone! Thank you so much for reading. I hope the upcoming year is full of happiness and wonderful experiences for all of you. Another six months have passed and I have another completed sketchbook flip to share! Most of you may remember that I announced that I had decided to use a pocket Leuchtturm1917 sketchbook this time around while I participated in various Instagram challenges, and worked on my own ideas. This sketchbook contains art from #dndchallenge, #sealemon, #worldwatercolormonth, and #inktober. I really enjoyed flipping through it and seeing how my work continued to progress through the year, as well as observing so many different focuses, approaches, styles and techniques. I enjoyed working in this sketchbook for the most part. It’s a little larger both in size and in page numbers than the comparable pocket Moleskine sketchbook, and the paper is actually white versus the Moleskine’s offwhite, cream-colored stock. 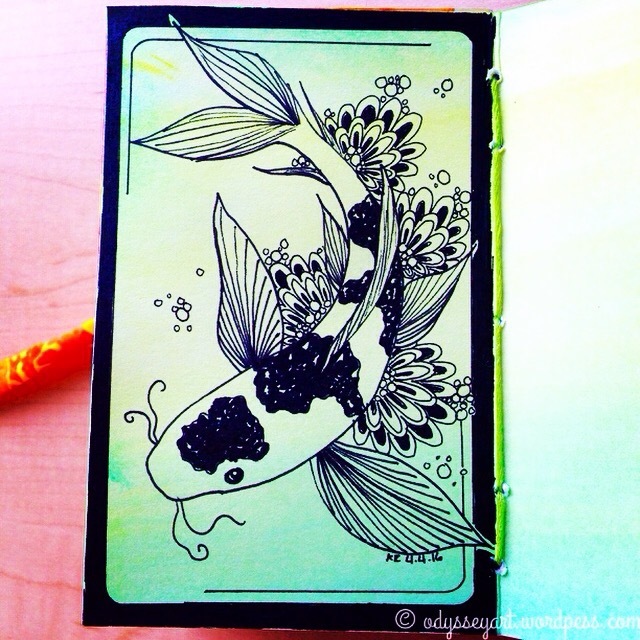 The only real downside I found to the Leuchtturm’s paper was that it did not interact well with wet mediums. 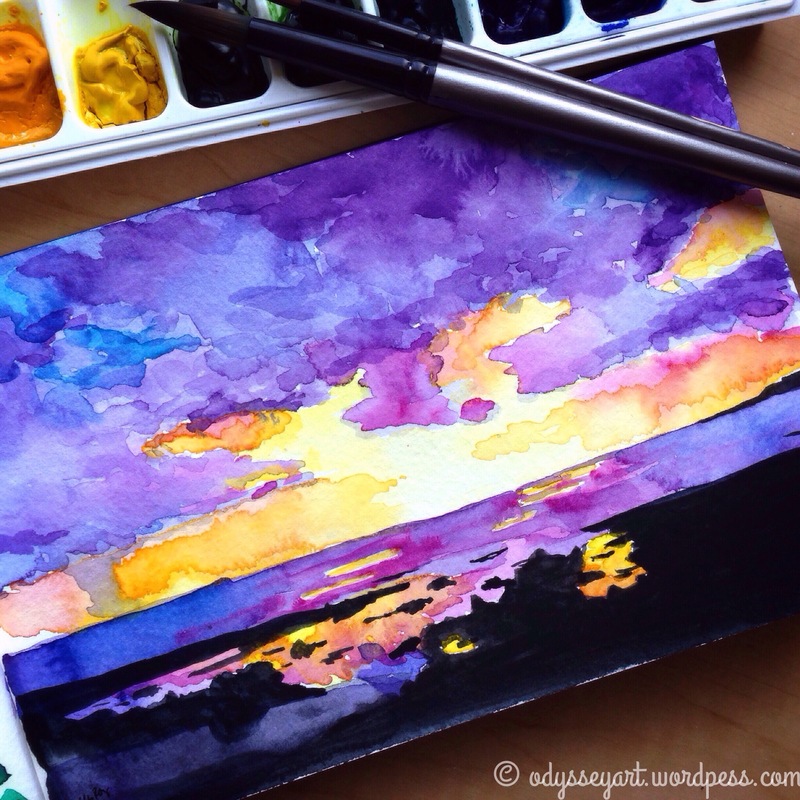 I tried watercolors, Dr. Ph Martin’s Bombay India Inks, and Faber-Castell Gelatos in it and I had issues with the paper absorbing the wet medium quickly and bleeding through. Where the Gelatos were concerned, the paper pilled up when I took the approach of using a baby wipe to distribute and blend the colors. This was all remedied in later layouts by preparing my pages with a layer of gesso if I knew I wanted to use any wet mediums on them. The gesso step was sometimes an inconvenience, however, if I was really wanting to just get moving with a painting. That said, the paper did take well to pencil, colored pencil, ink pen, and Faber-Castell PITT artist brush pens. I just saw a little bit of feathering on the straight ink drawings, but there was no bleed-through or ghosting to be seen. This is yet another proud moment for me—seeing another sketchbook through from cover-to-cover. I hope you enjoy the little tour. Thanks for dropping in to check out what I’ve been up to. Remember to follow me on Instagram, Twitter and Pinterest to see my latest creations.